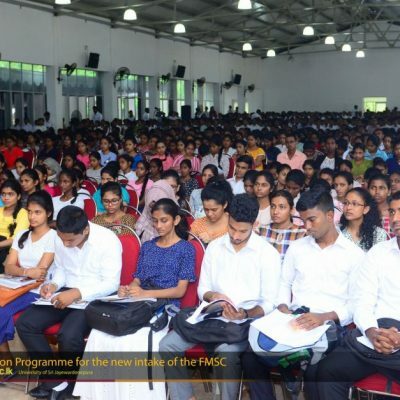 The Faculty of Management Studies & Commerce, University of Sri Jayewardenepura welcome new students to the faculty, for the academic year 2018 as the first management faculty to commence new academic year for the students who sat for the advanced level examination in 2017. 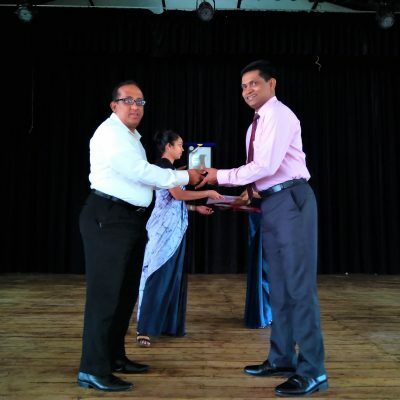 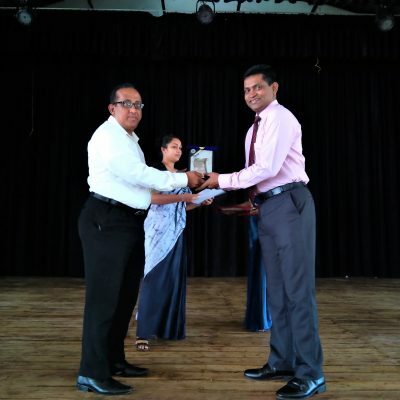 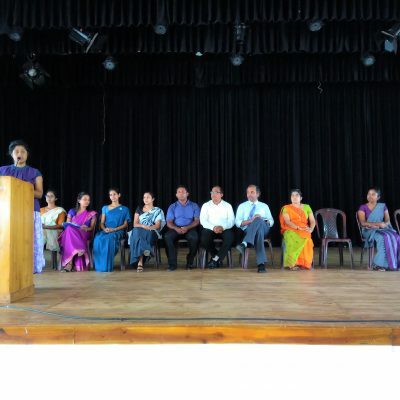 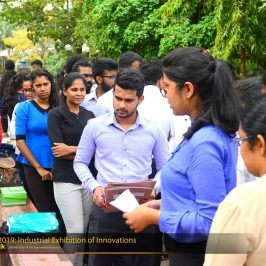 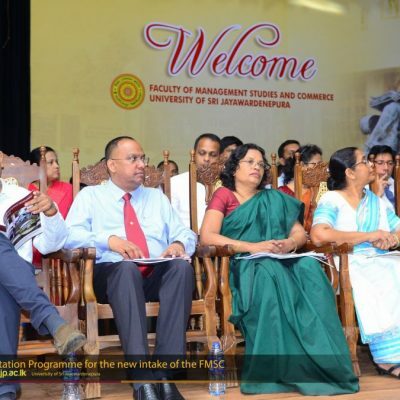 The inauguration ceremony was held on 05th November 2018 at the Bandaranayeke Hall of the university from 8.30am and was followed by an orientation programme that was held for a period of one week. 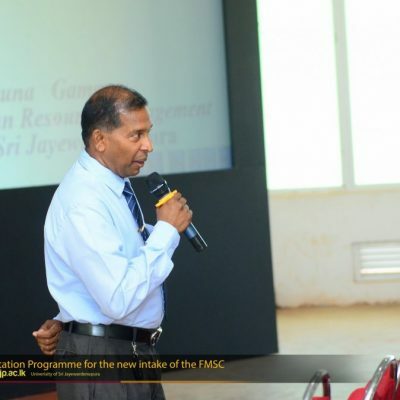 Snr. 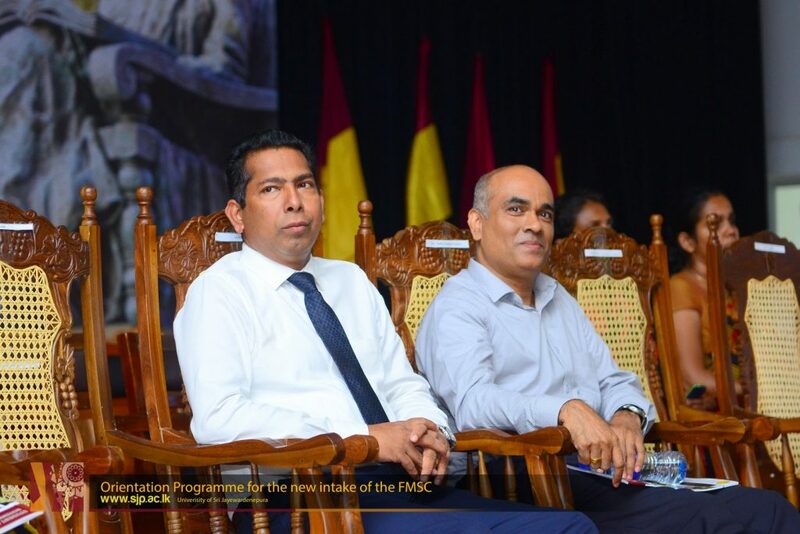 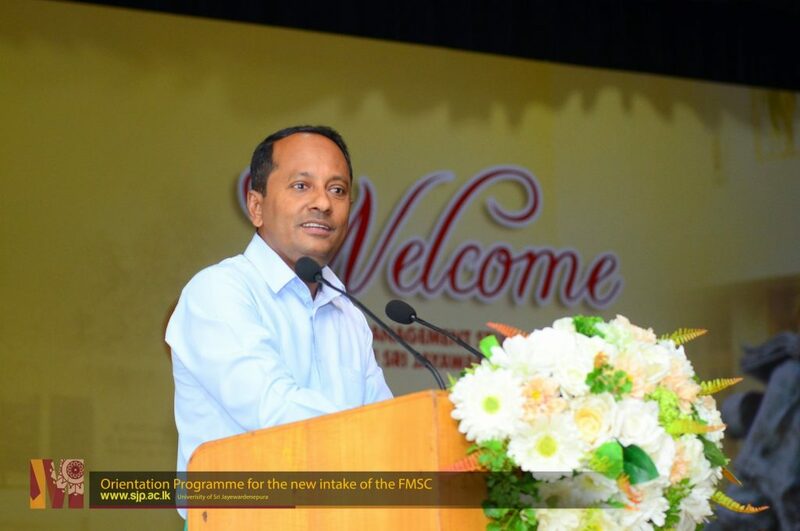 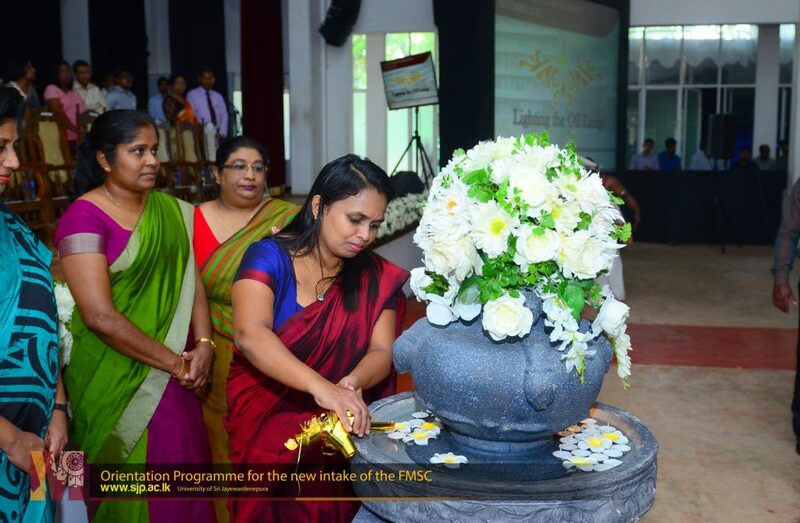 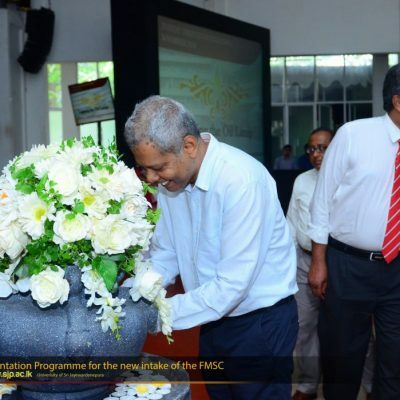 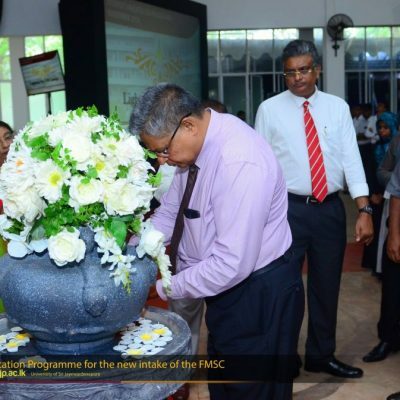 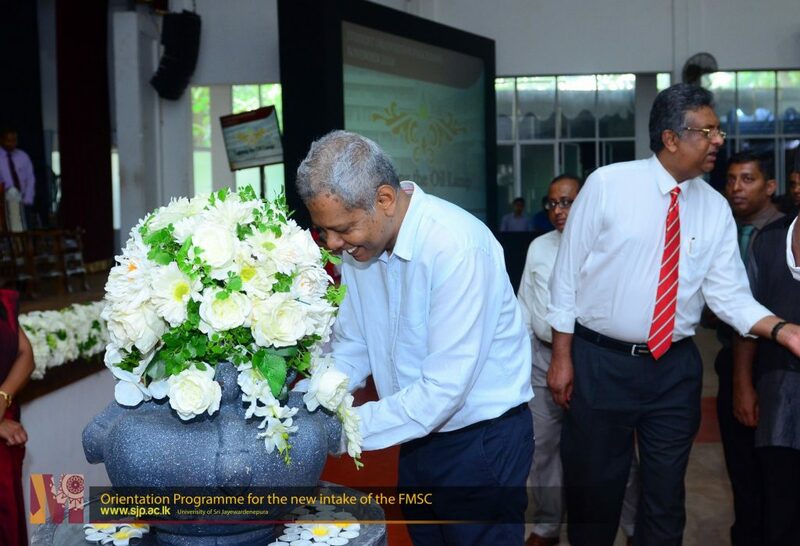 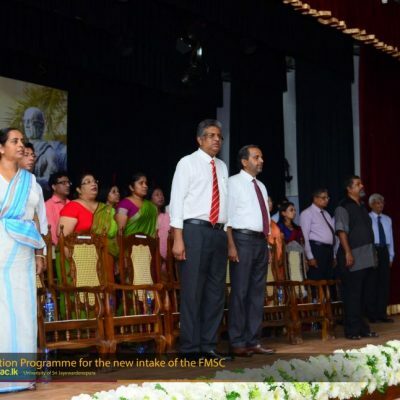 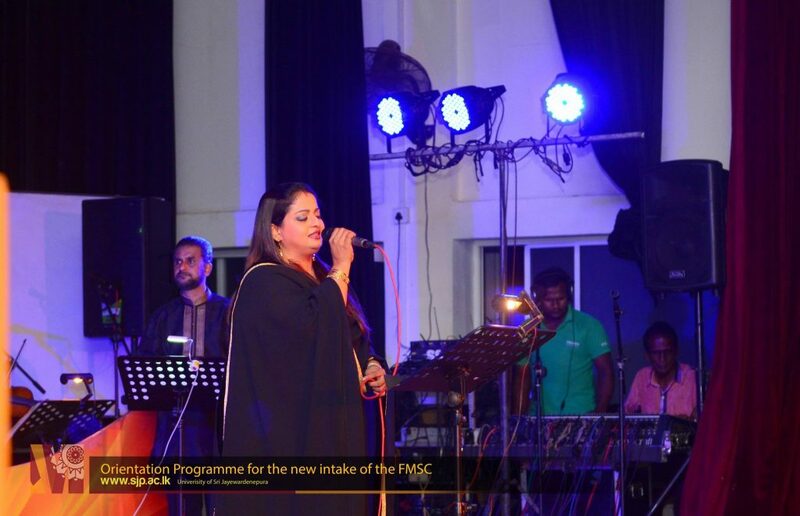 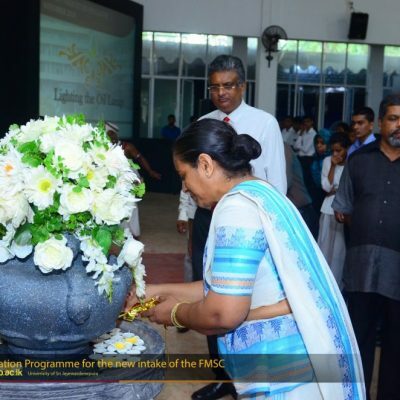 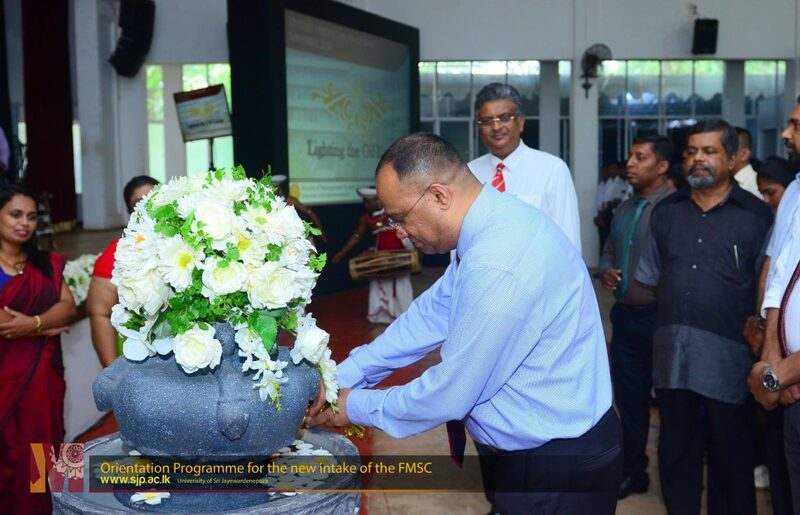 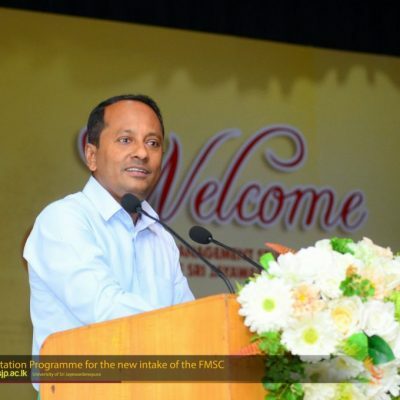 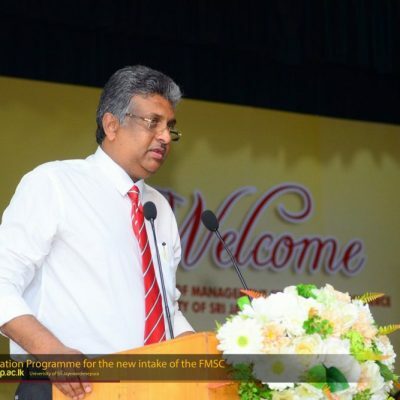 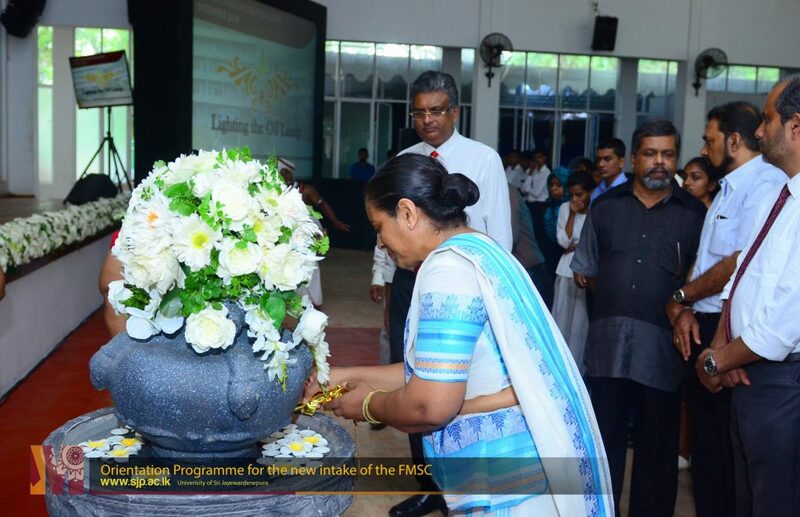 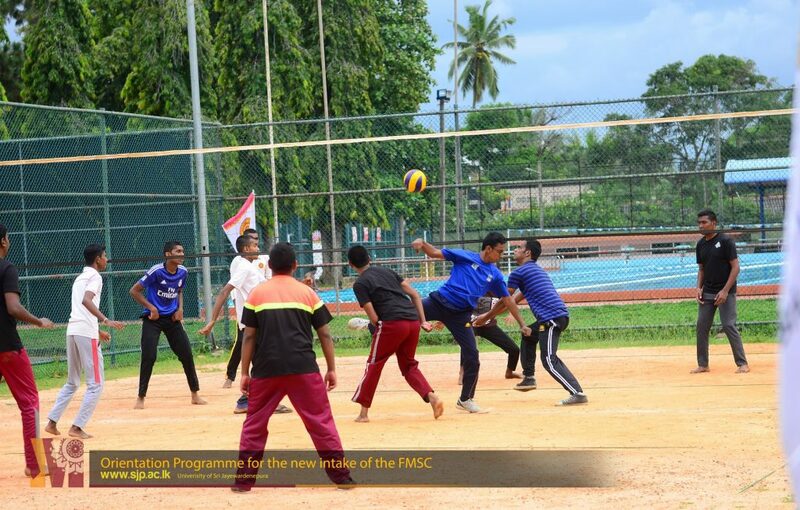 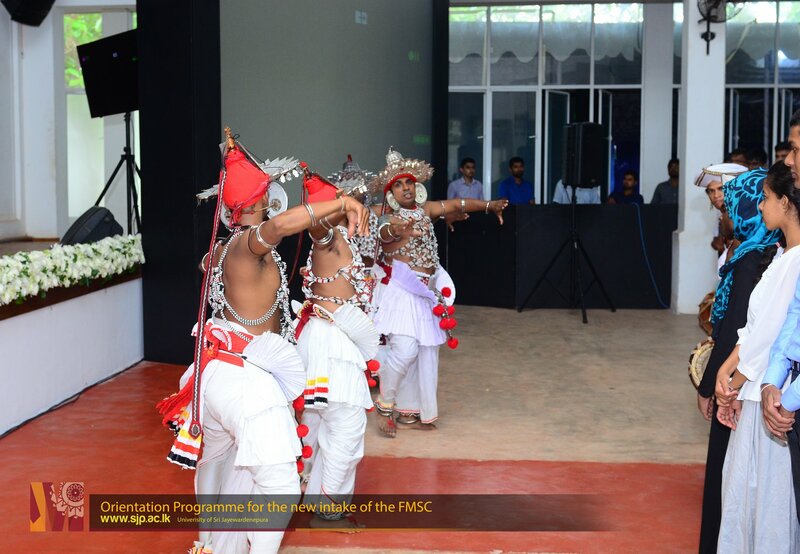 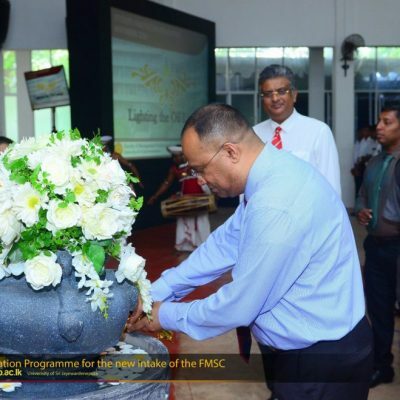 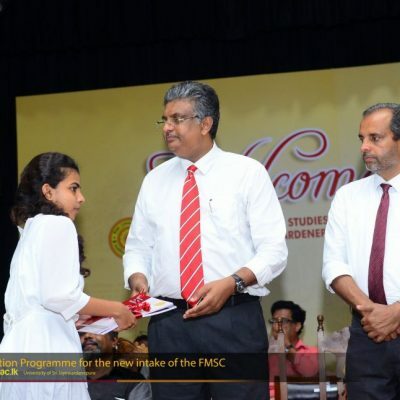 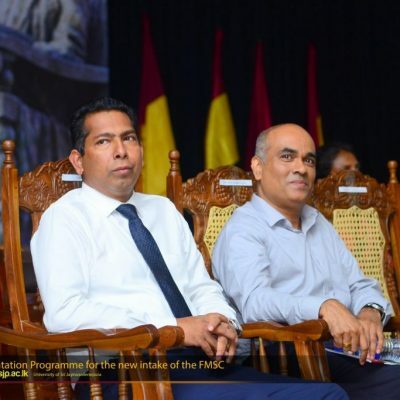 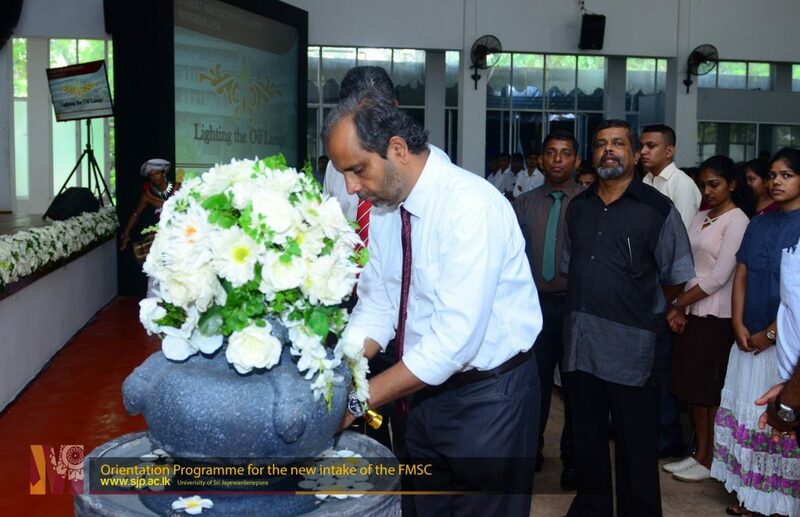 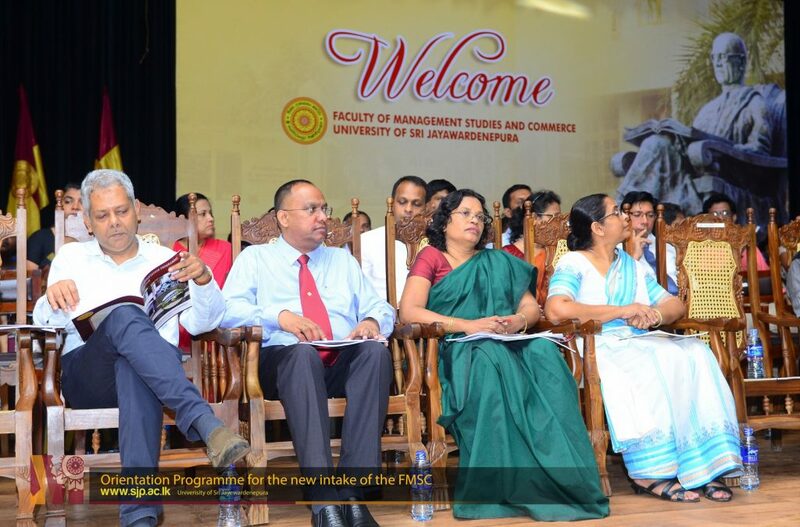 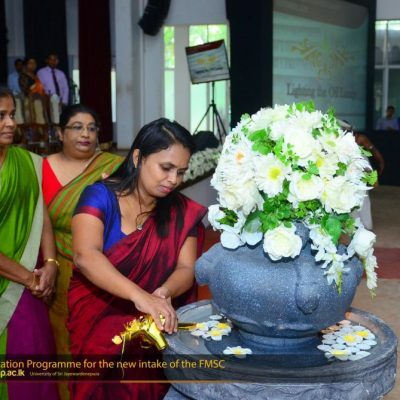 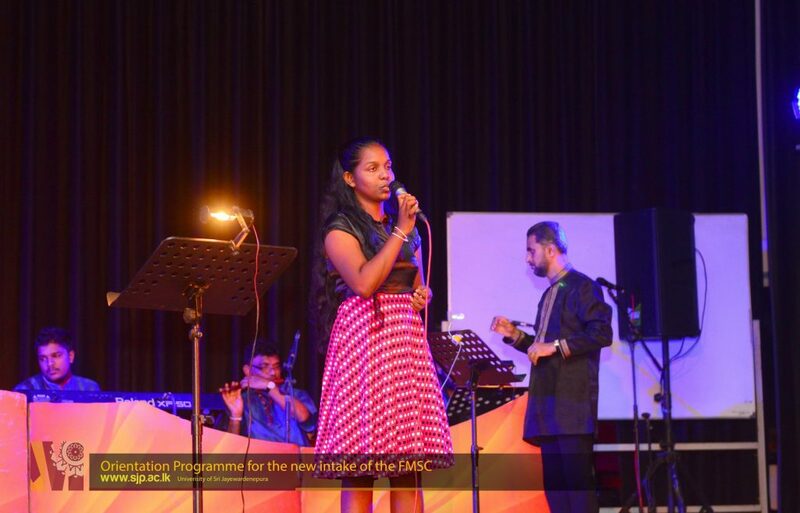 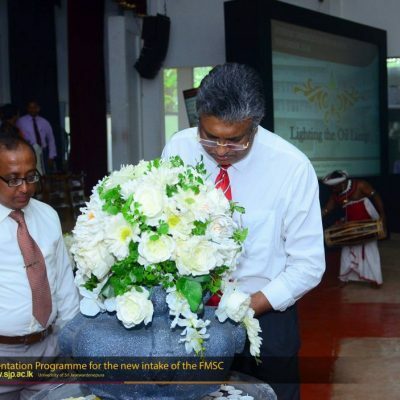 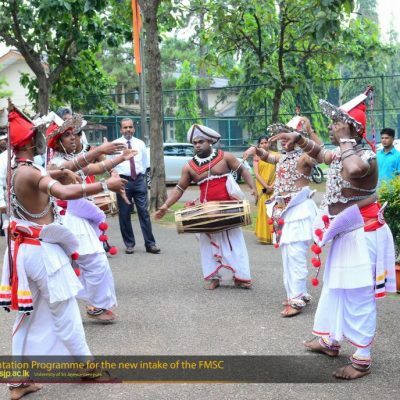 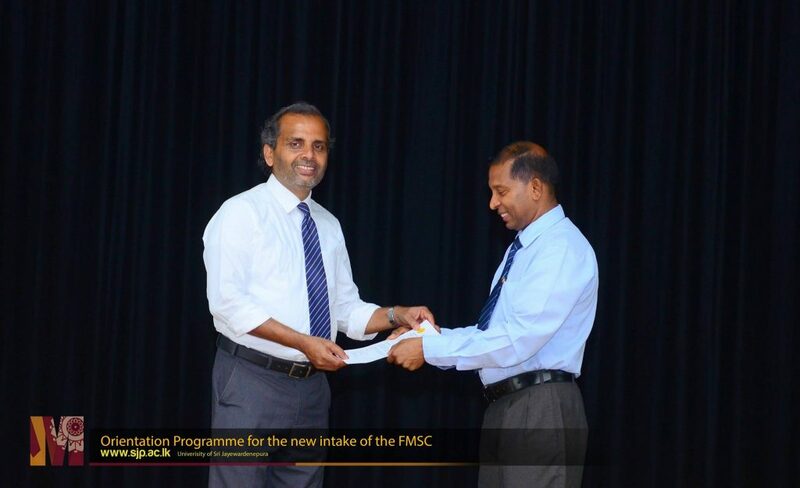 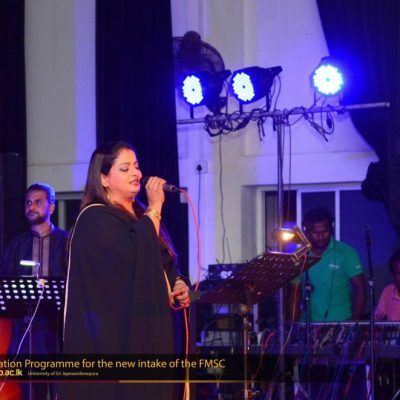 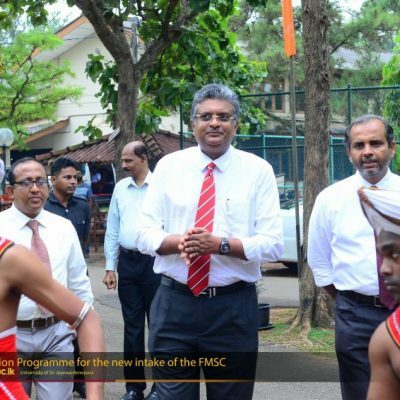 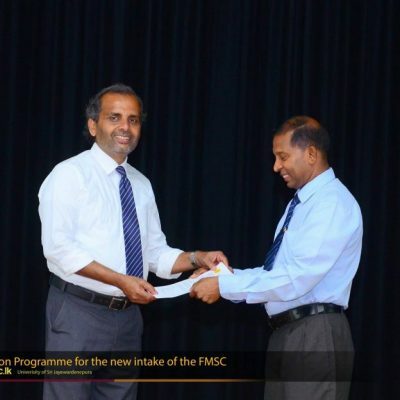 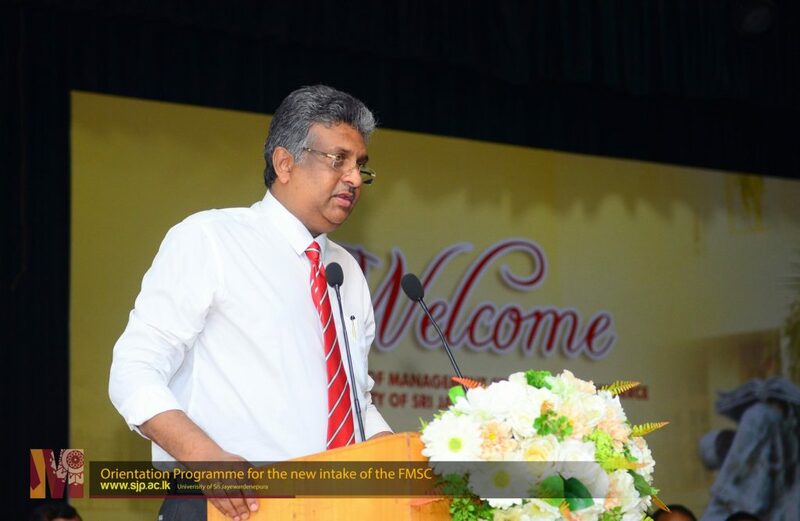 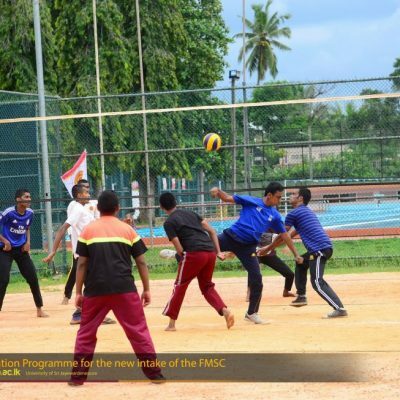 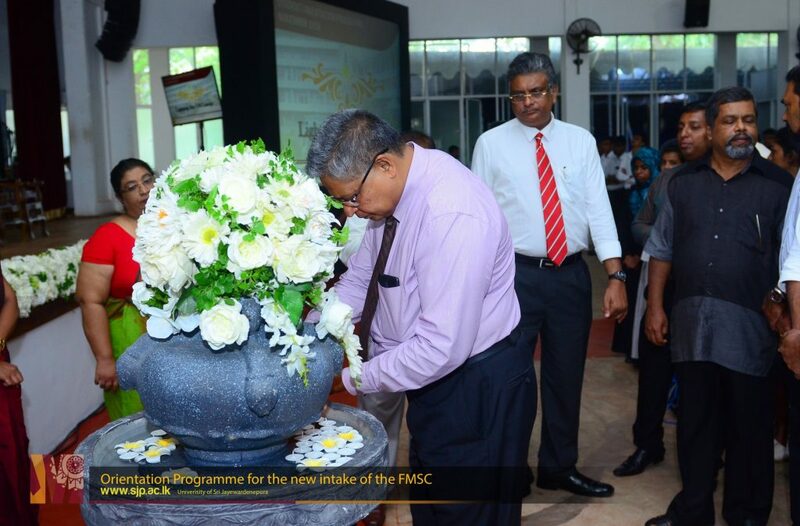 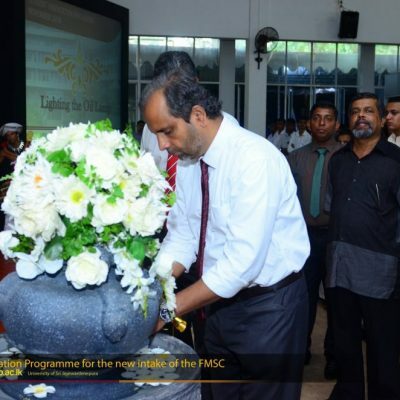 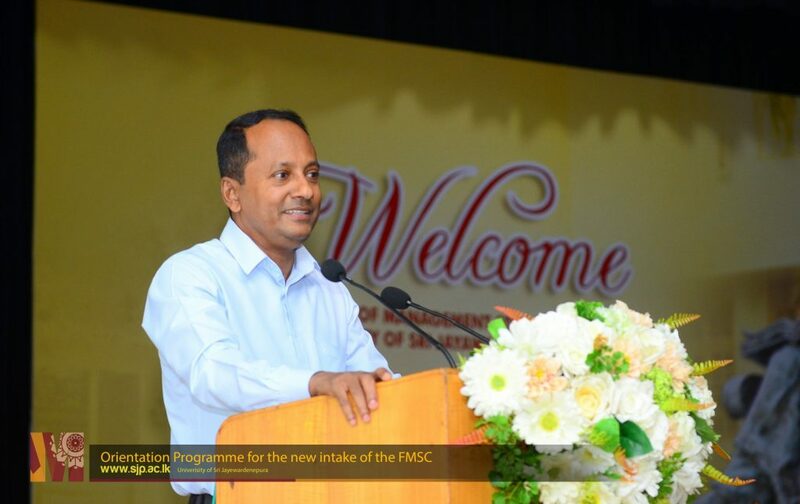 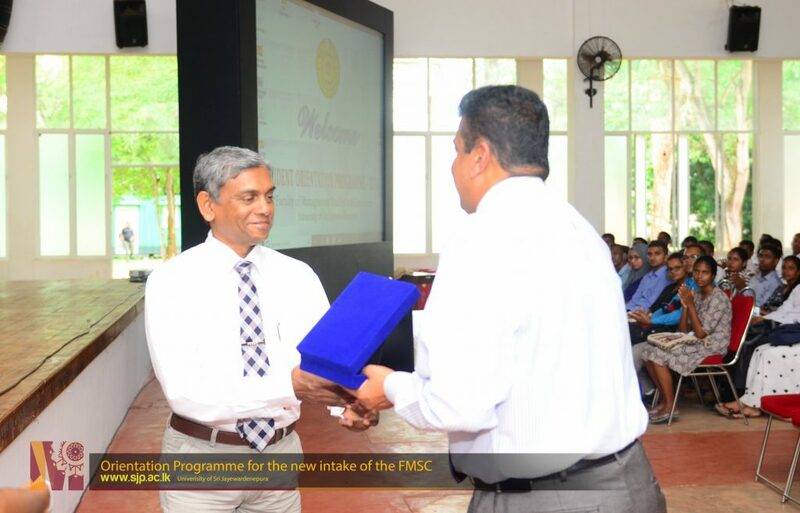 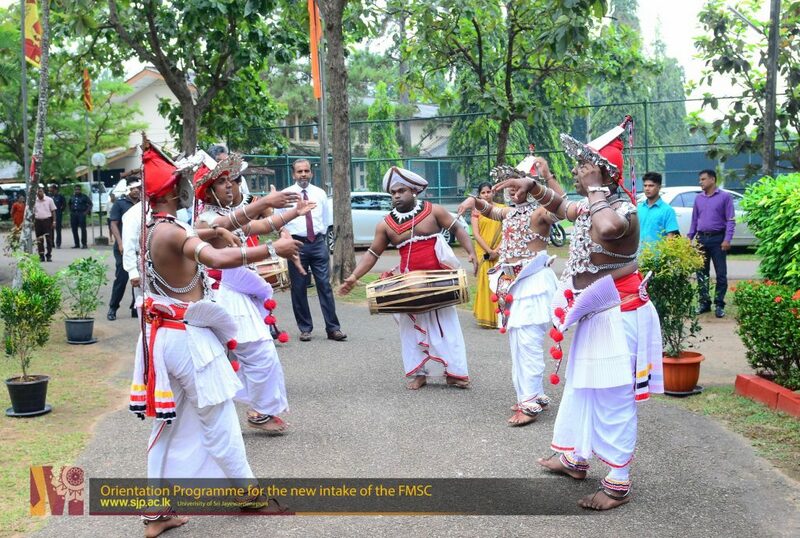 Prof. Sampath Amaratunge; the Vice-Chancellor of the university, Dr. U Anura Kumara; Dean of the Faculty of Managment Studies and Commerce and the Deans representing other faculties, Heads of Departments of FMSC graced the occasion. 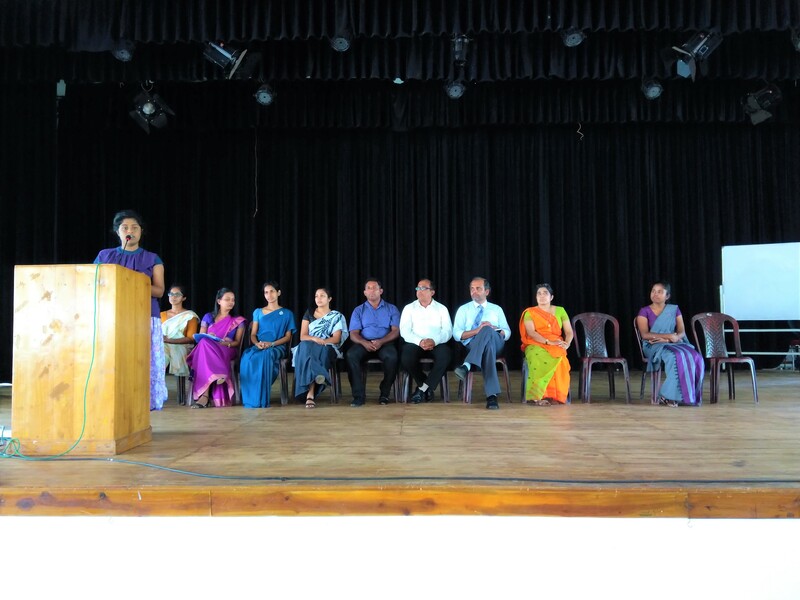 Also, the academic staff of the faculty, senior students, new students and their parents participated in the inauguration ceremony. 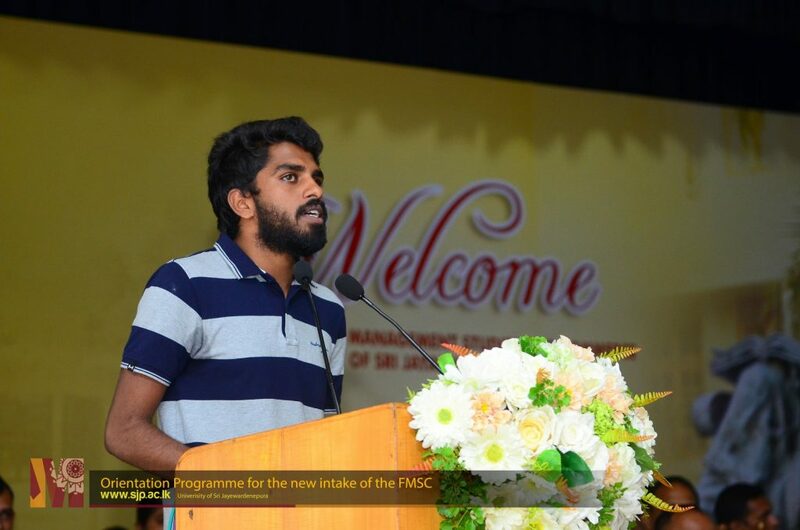 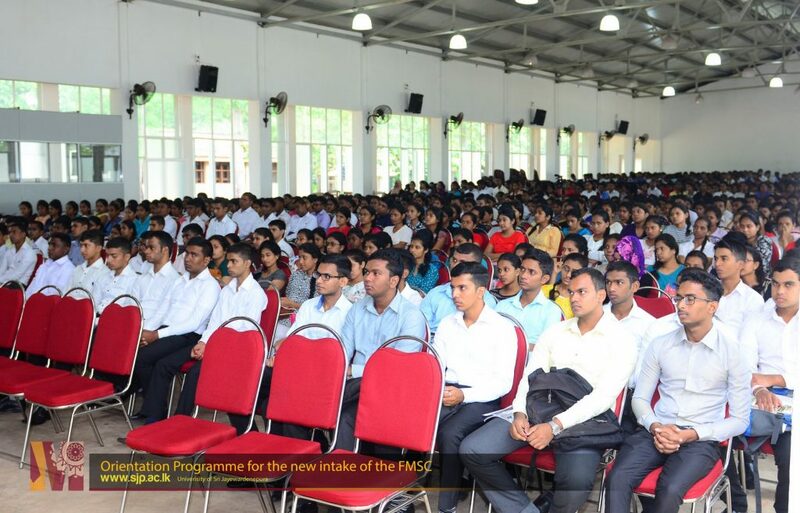 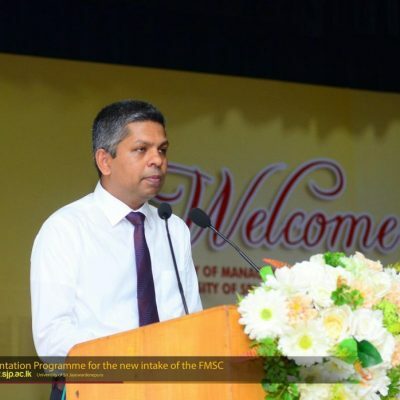 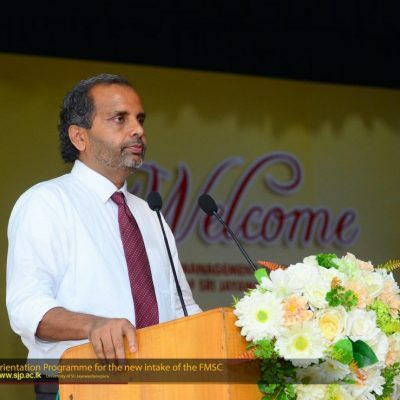 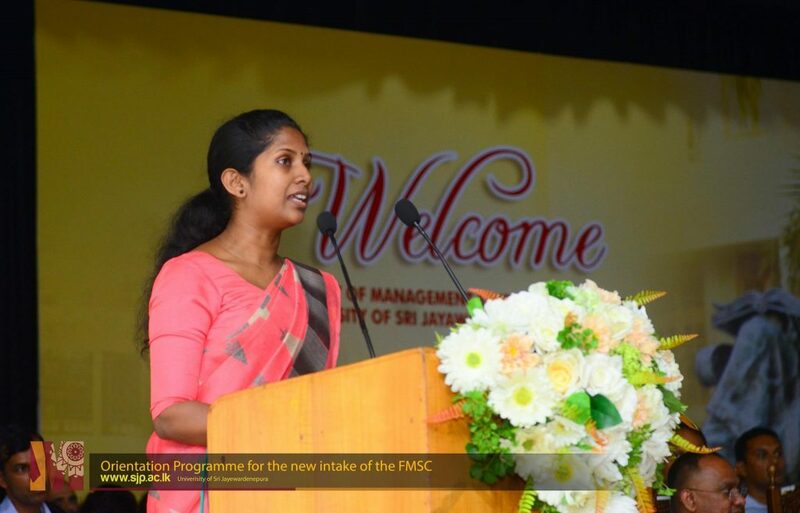 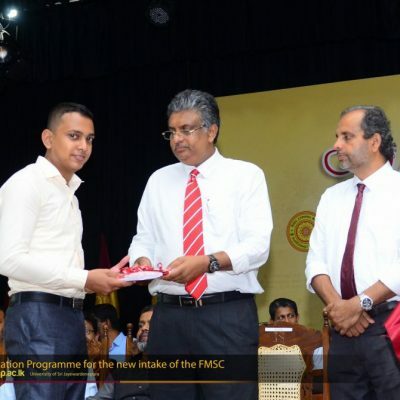 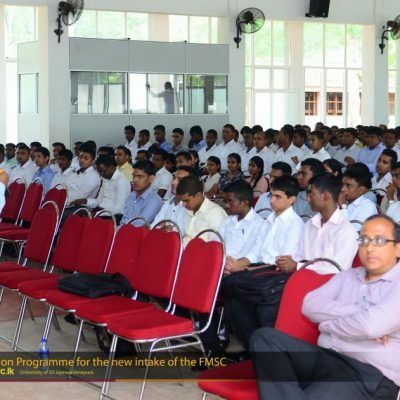 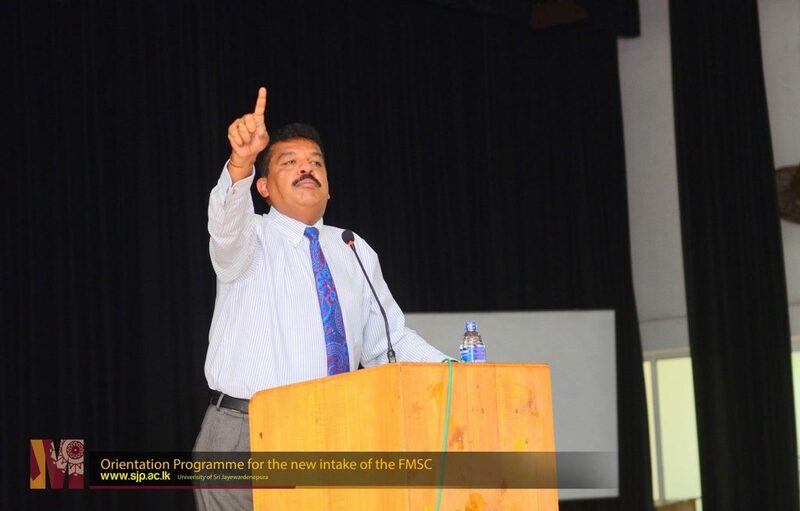 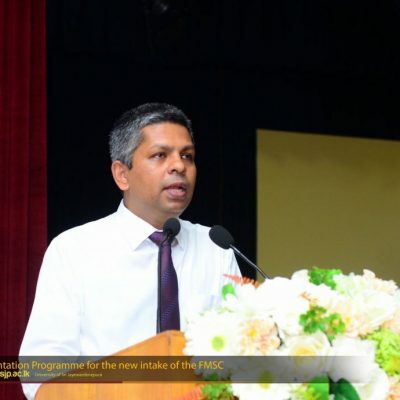 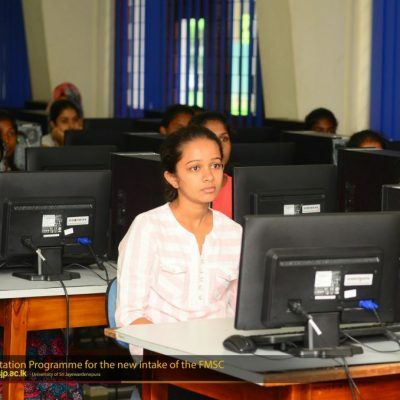 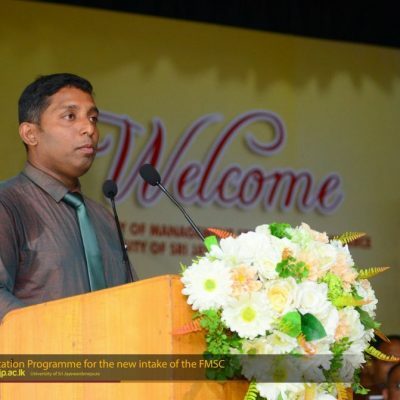 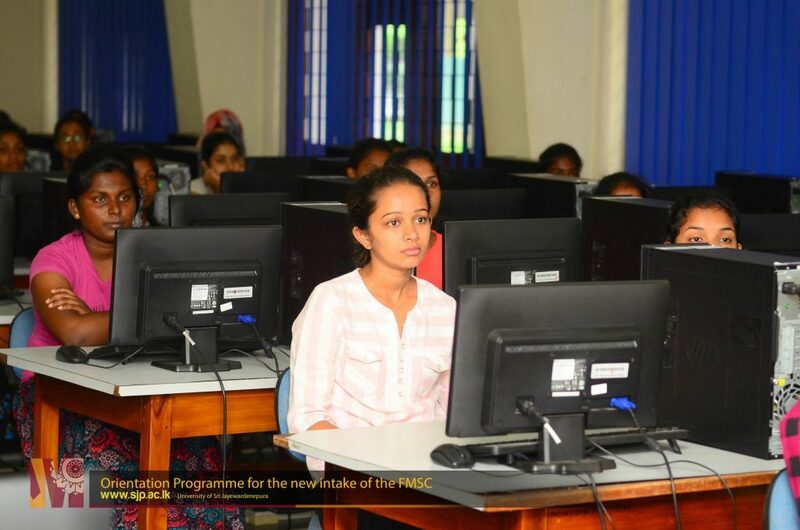 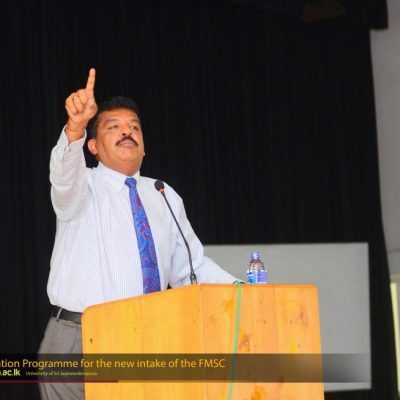 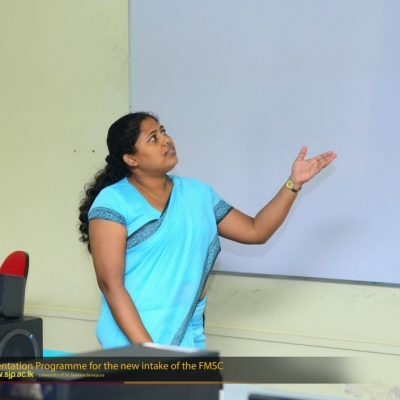 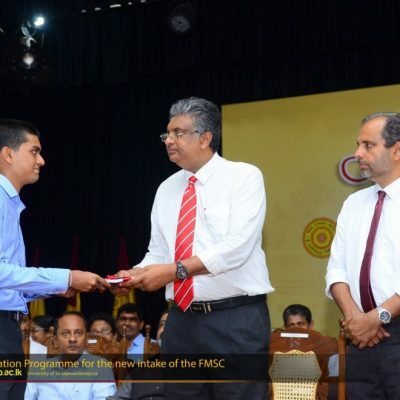 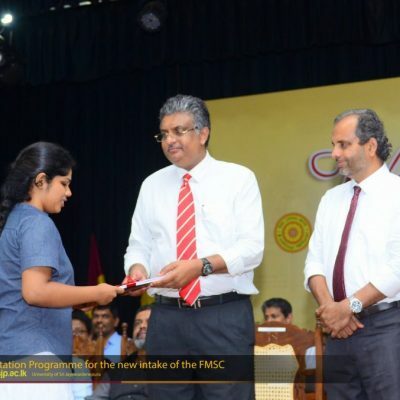 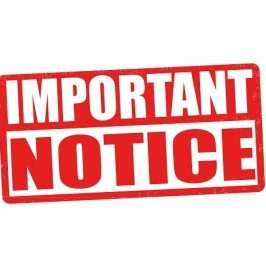 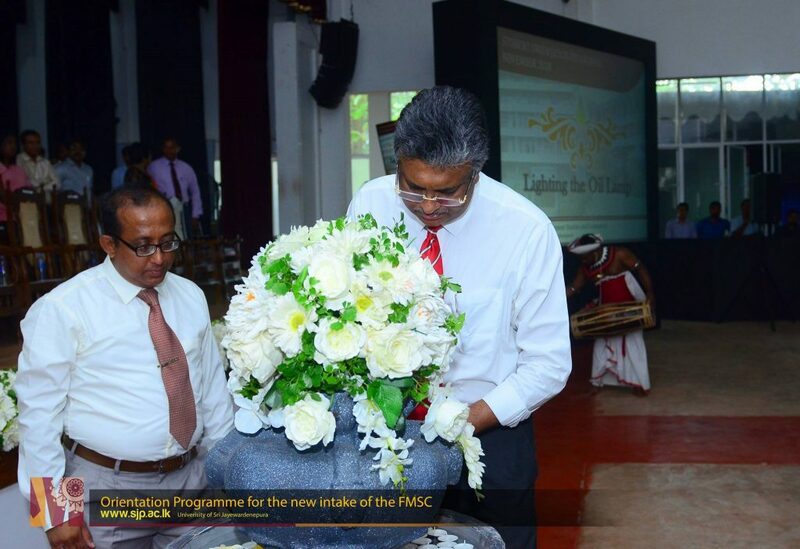 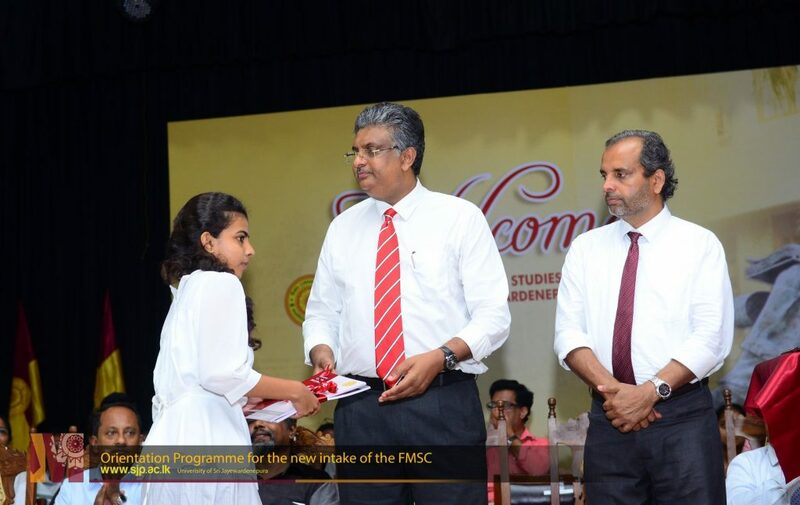 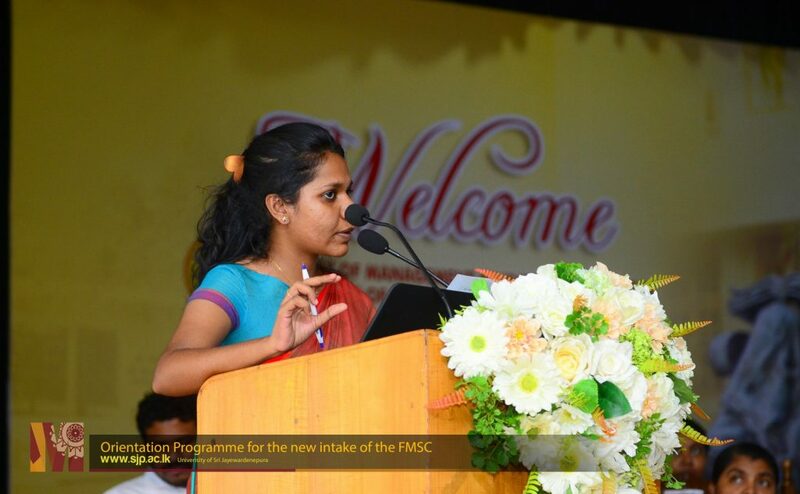 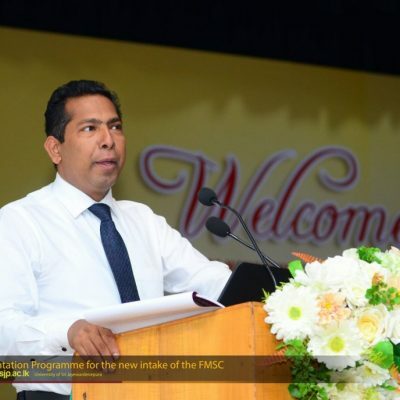 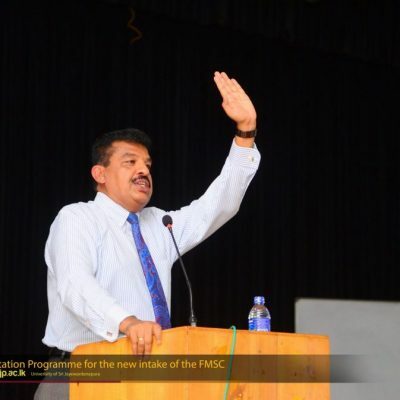 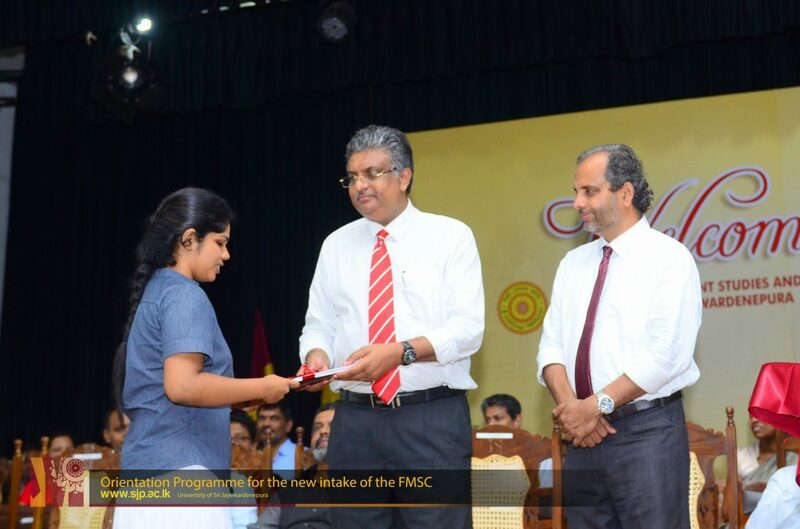 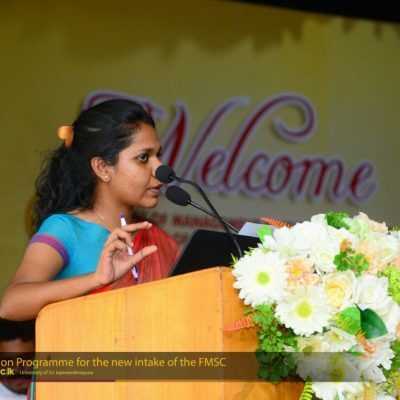 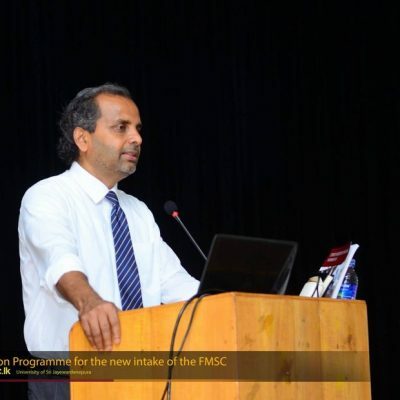 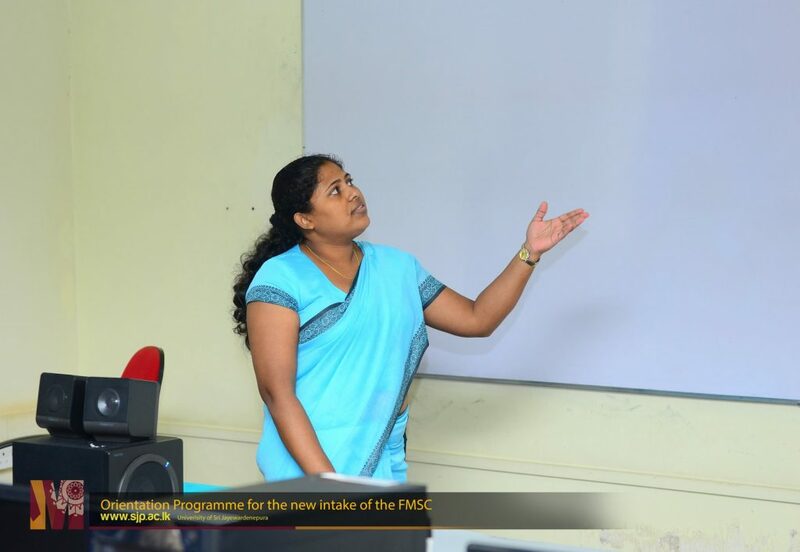 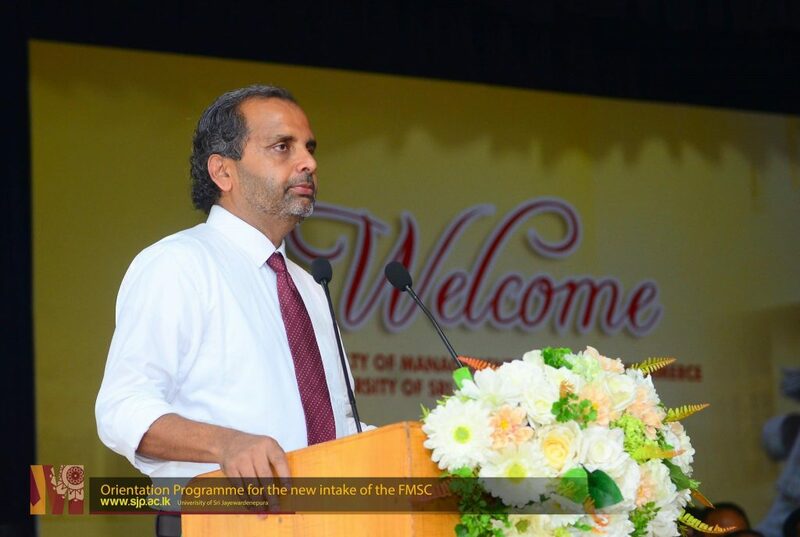 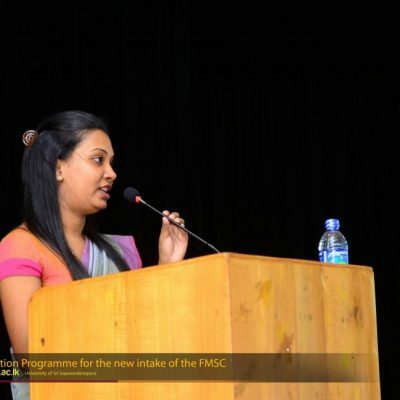 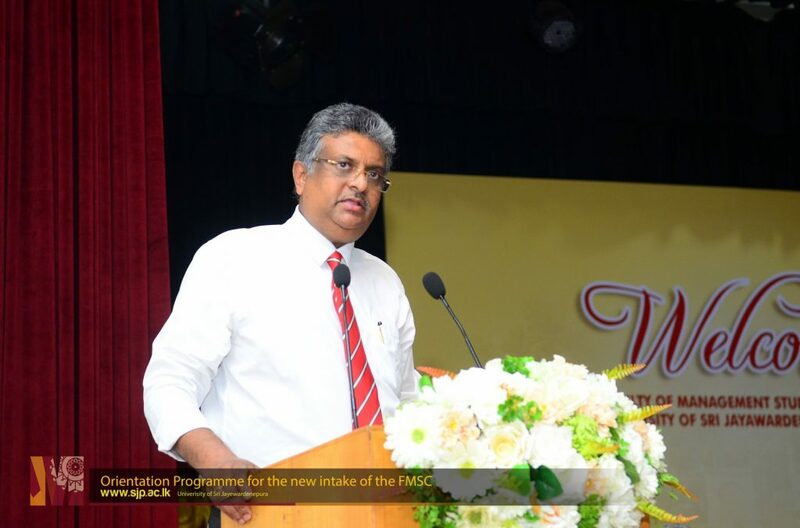 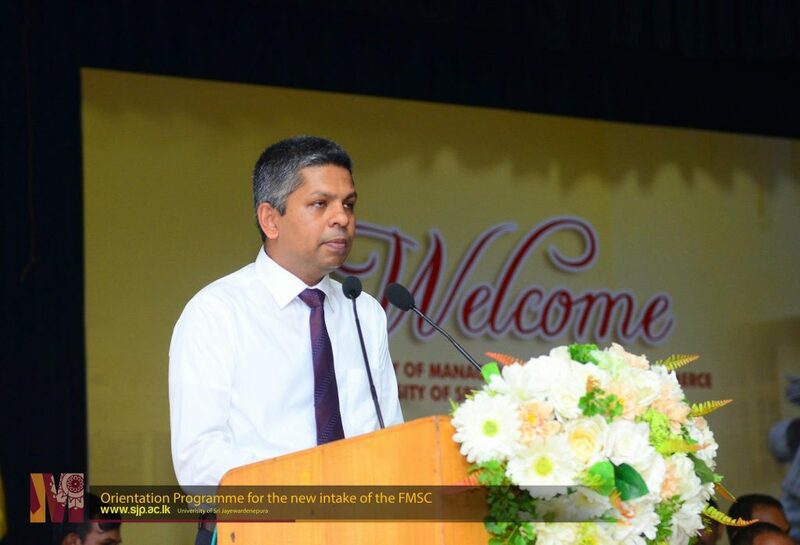 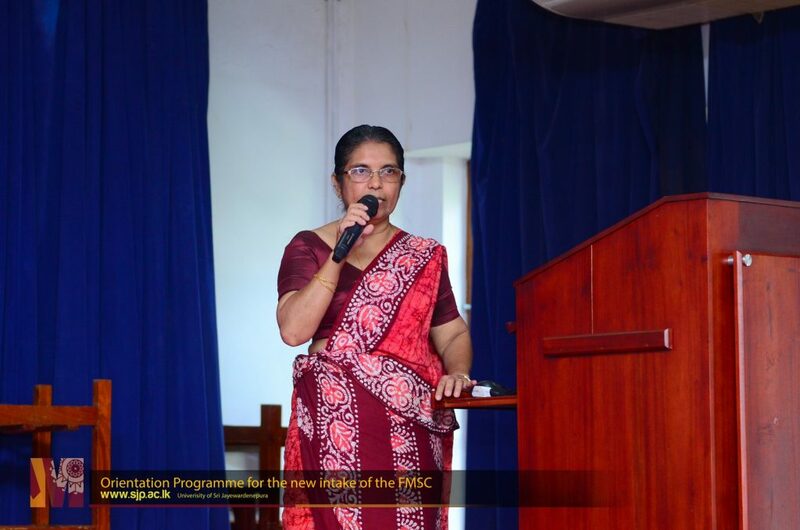 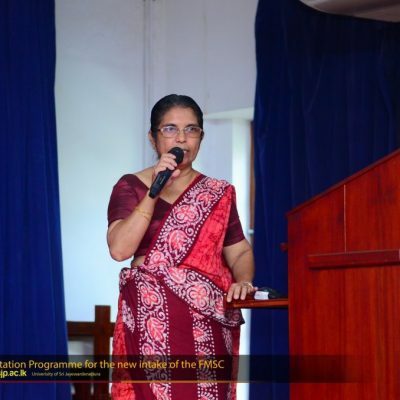 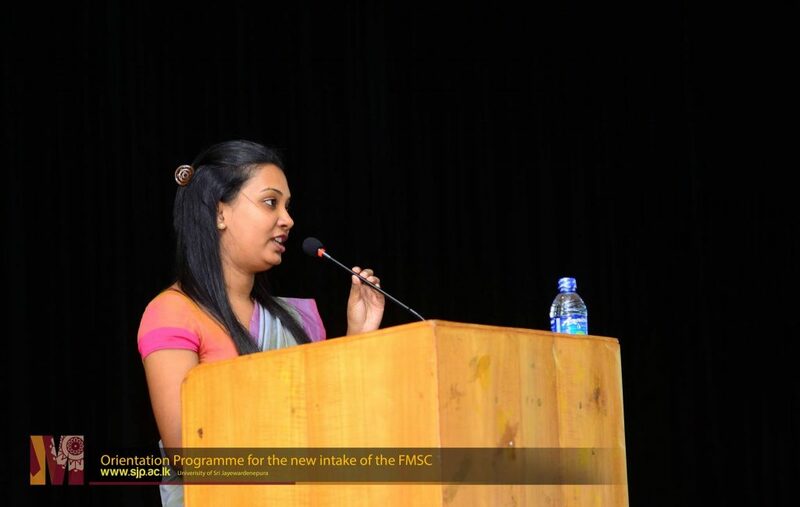 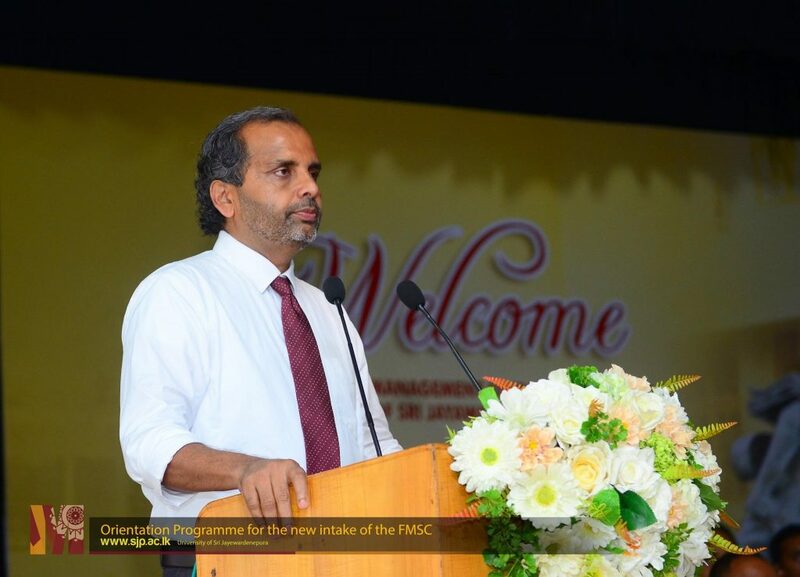 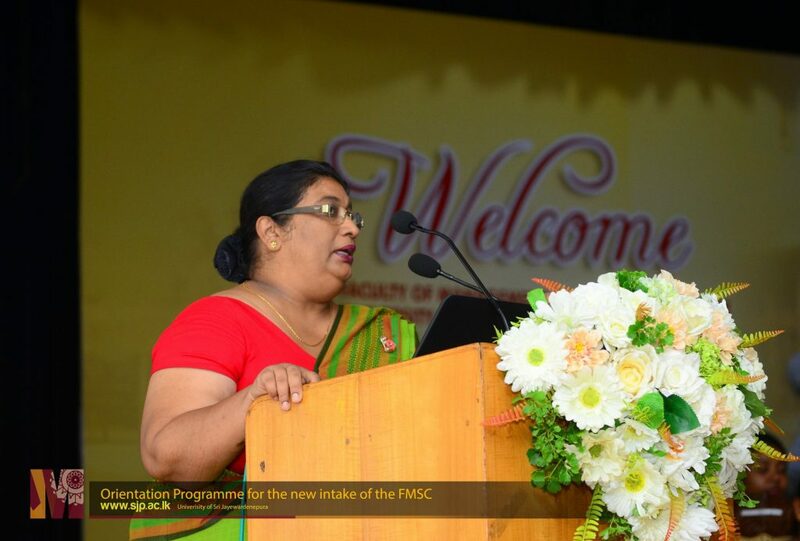 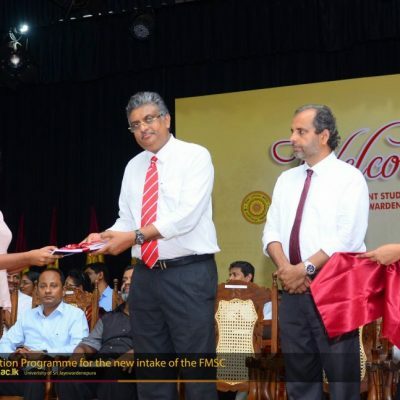 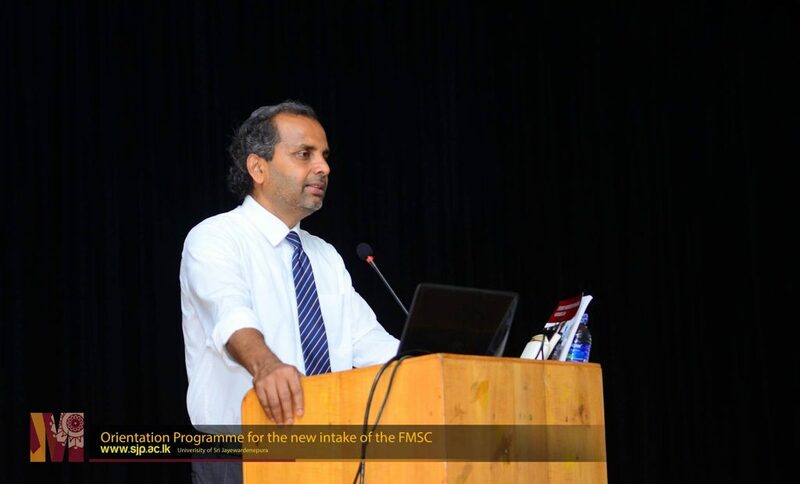 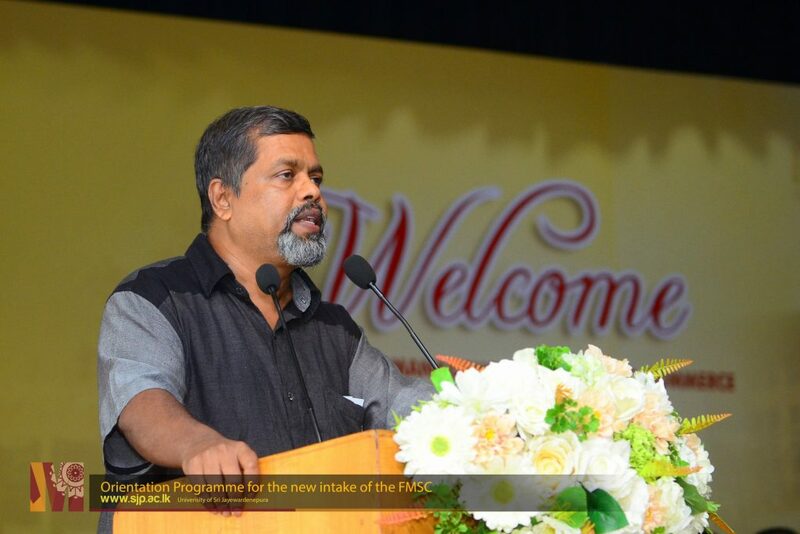 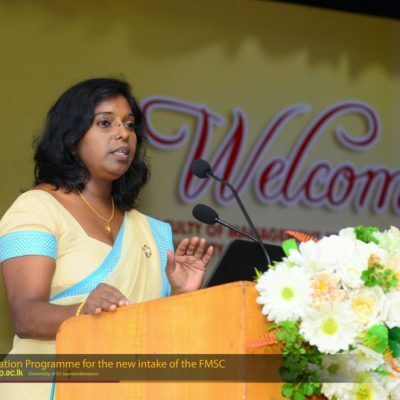 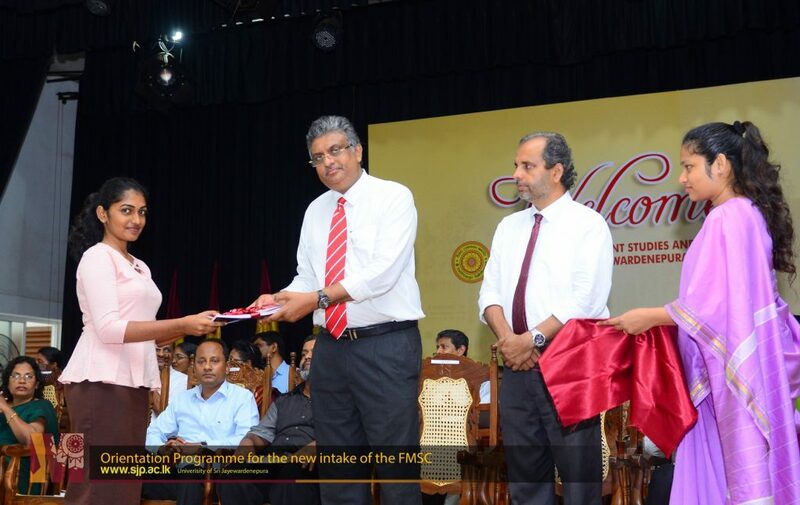 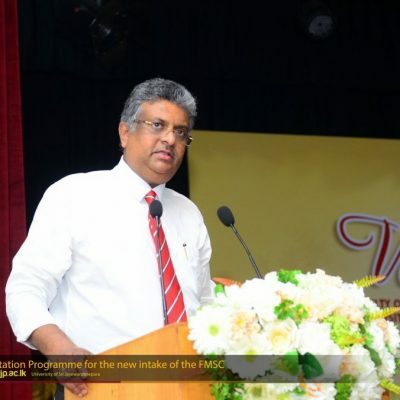 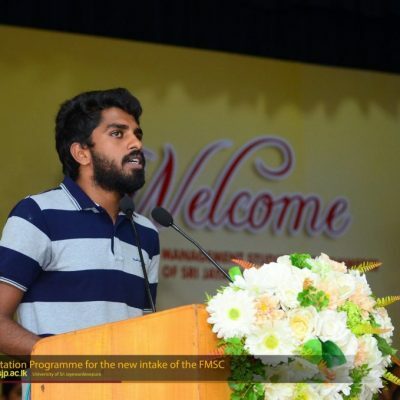 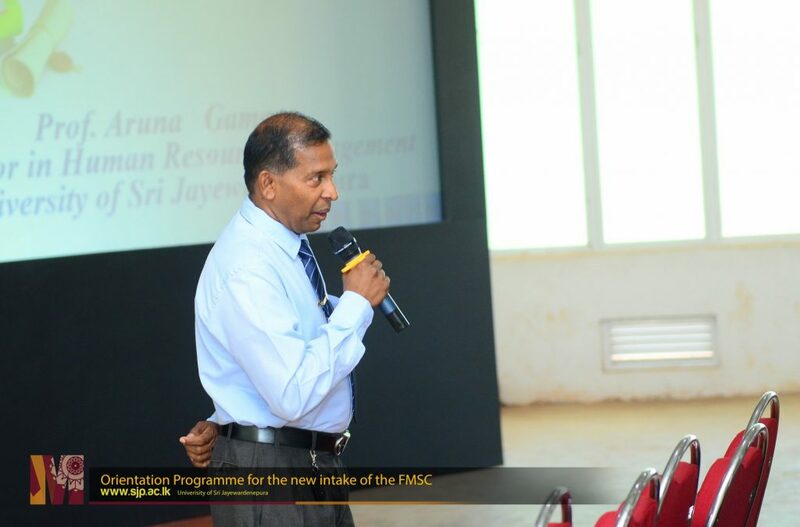 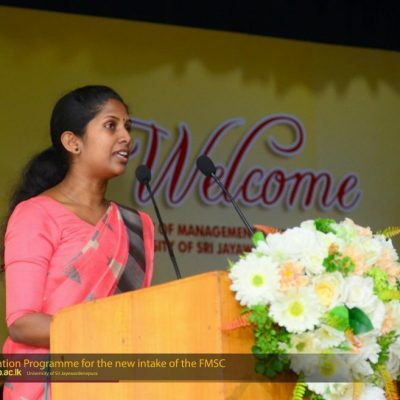 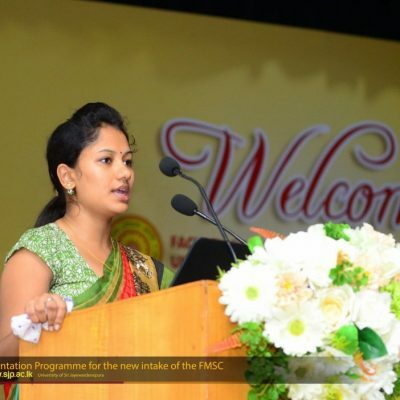 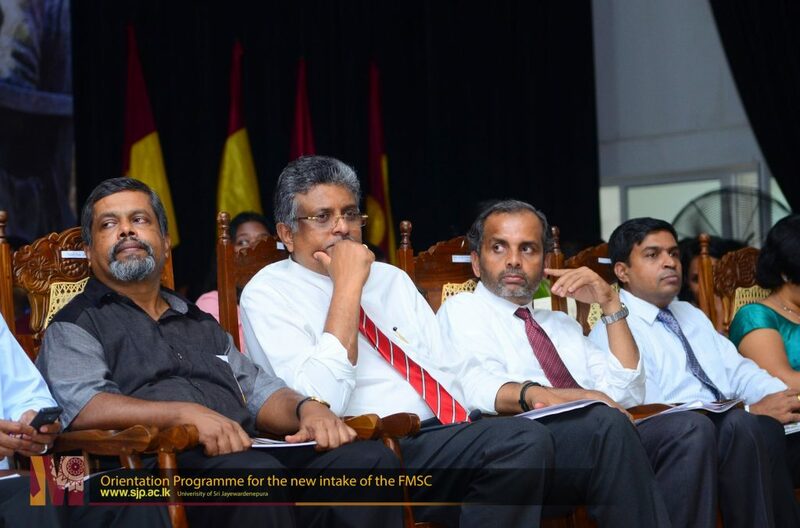 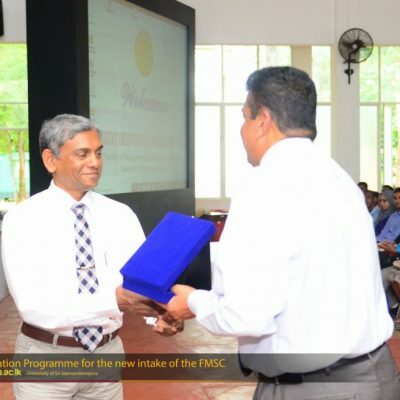 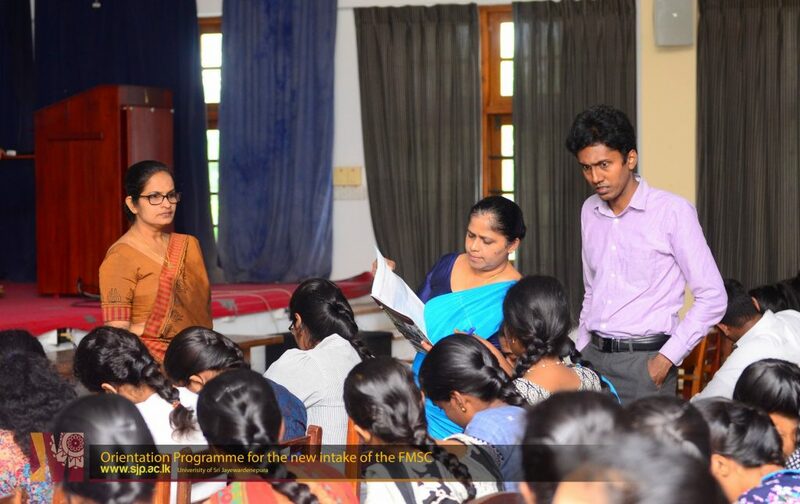 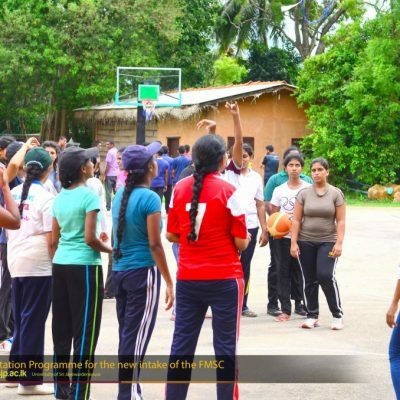 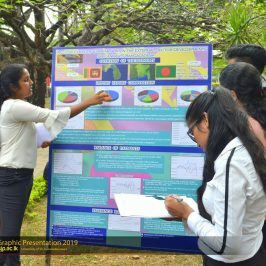 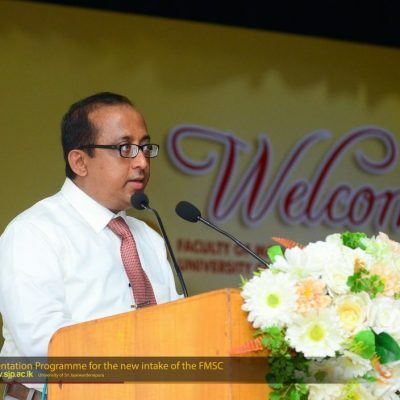 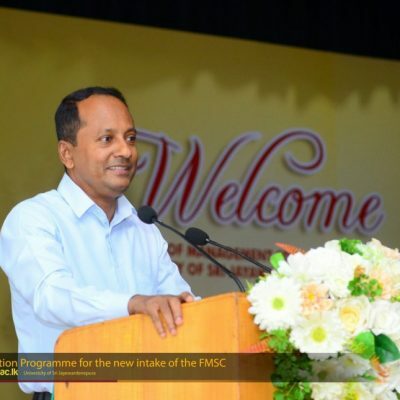 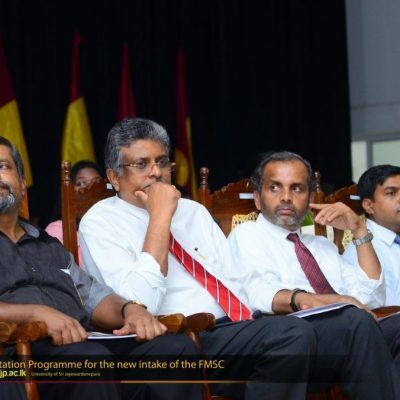 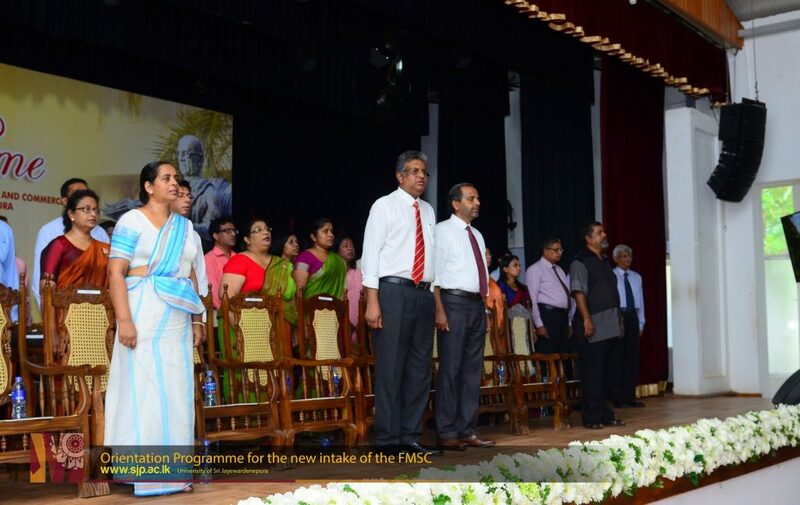 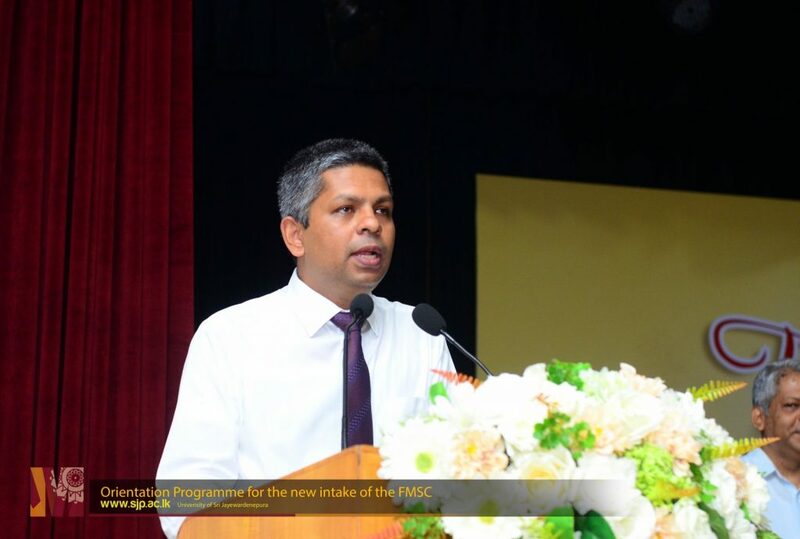 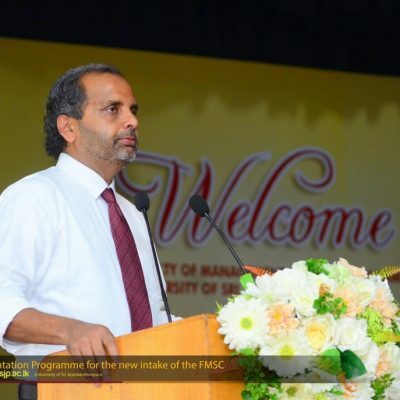 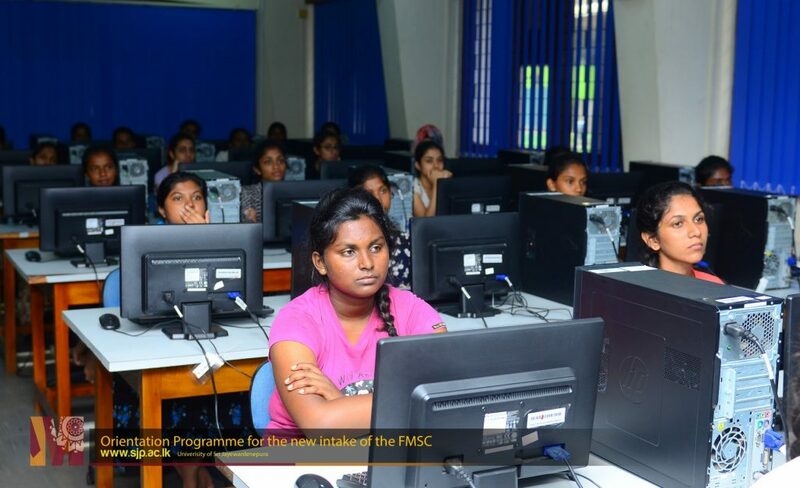 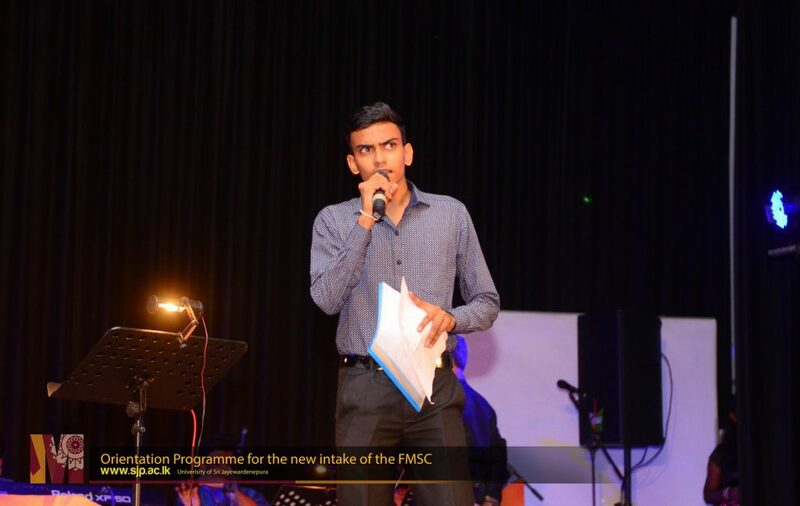 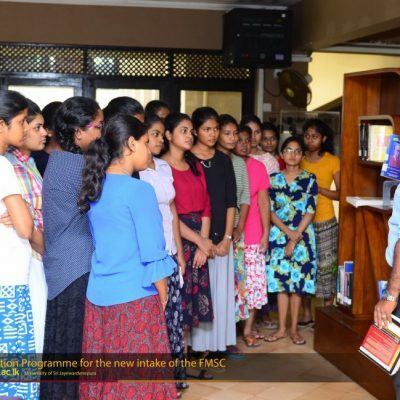 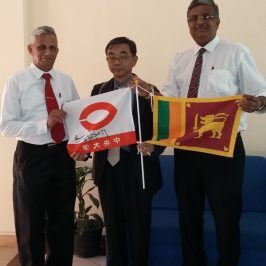 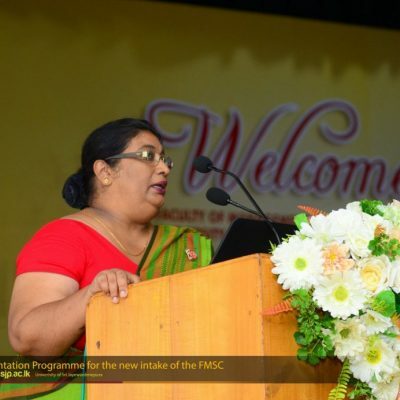 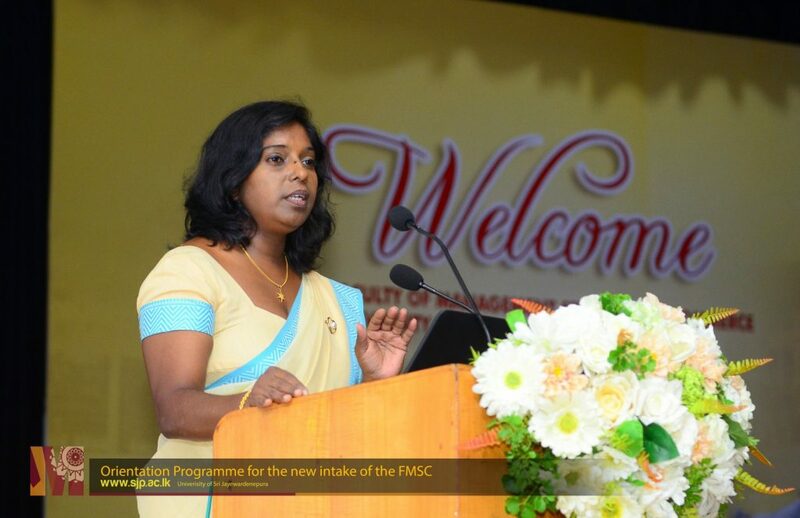 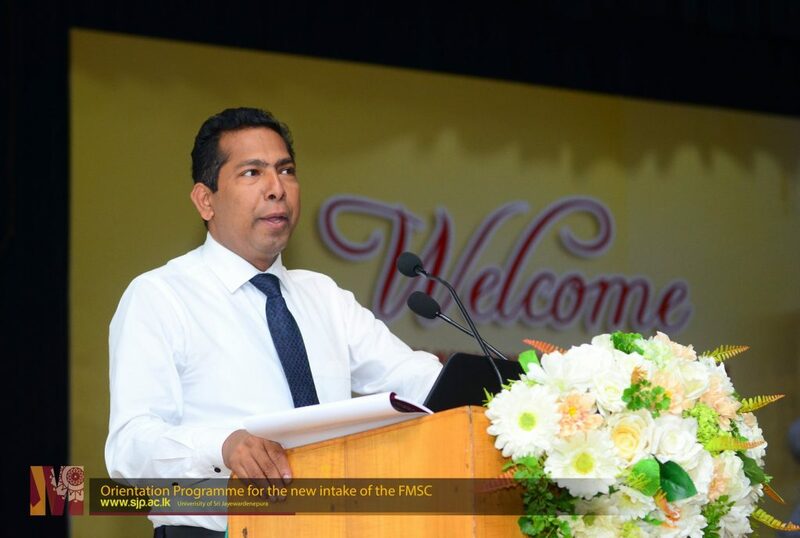 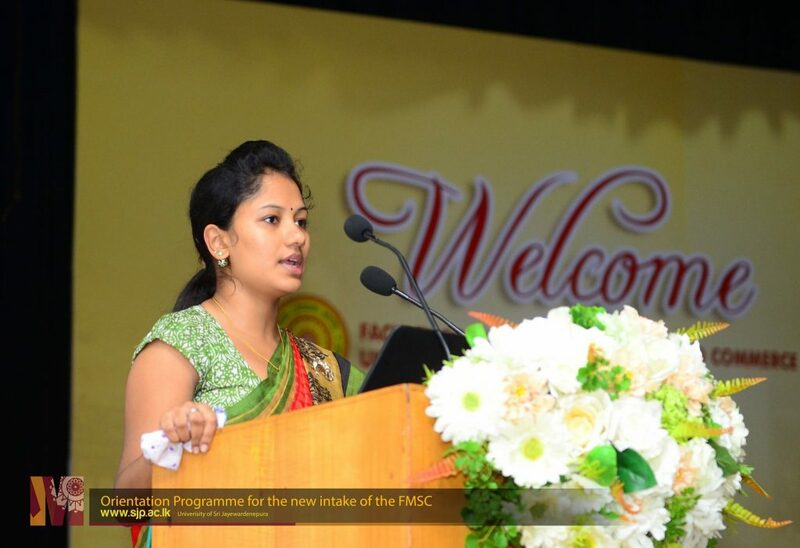 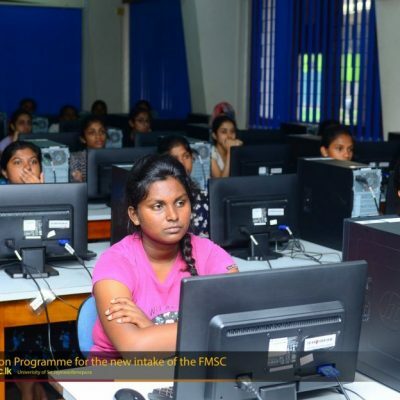 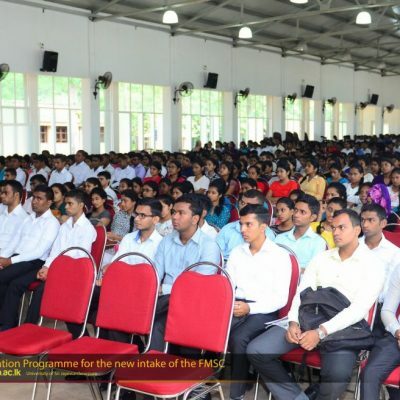 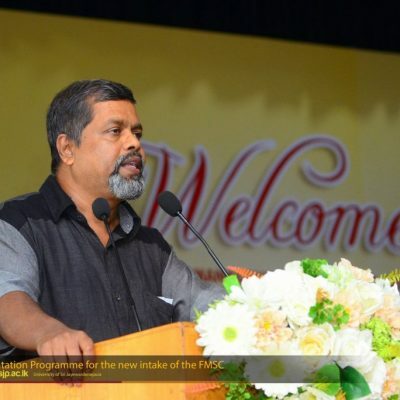 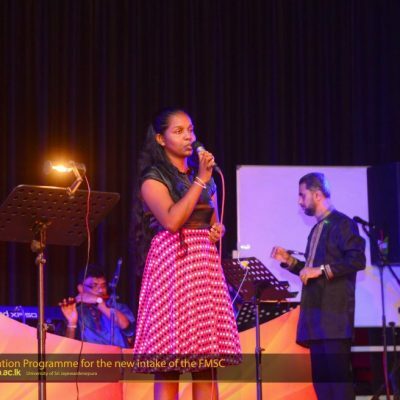 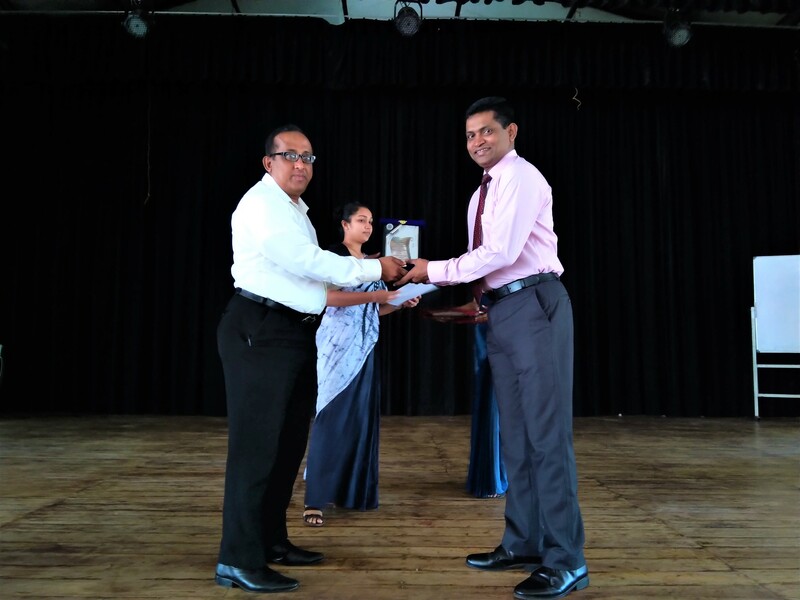 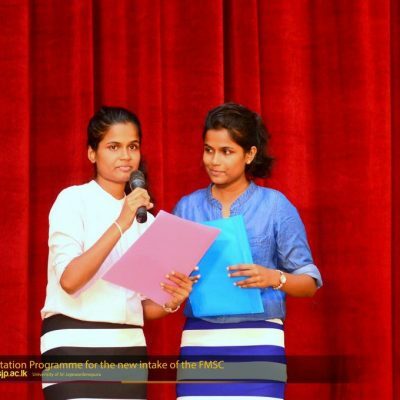 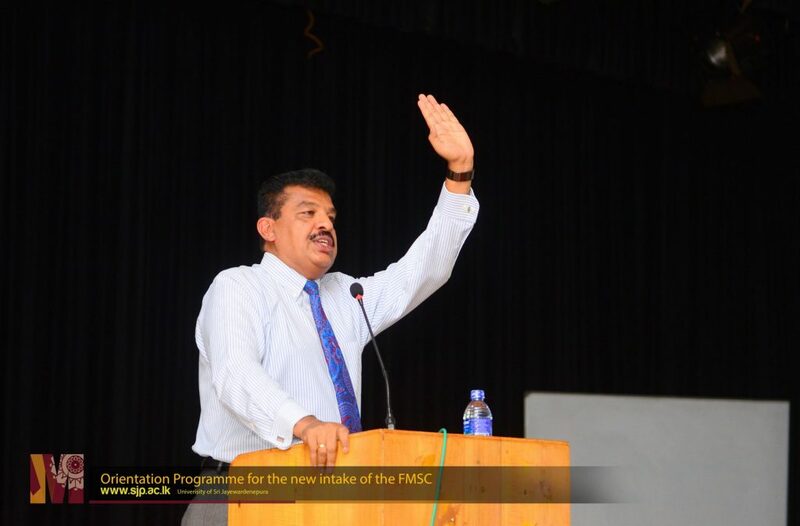 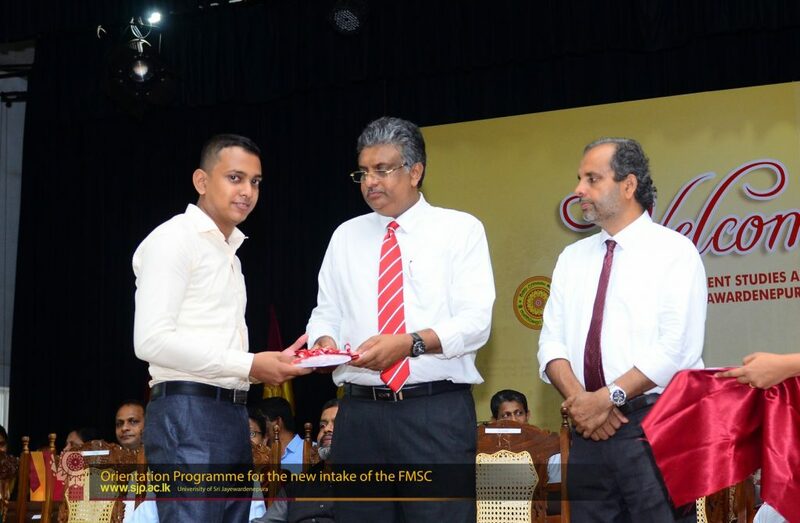 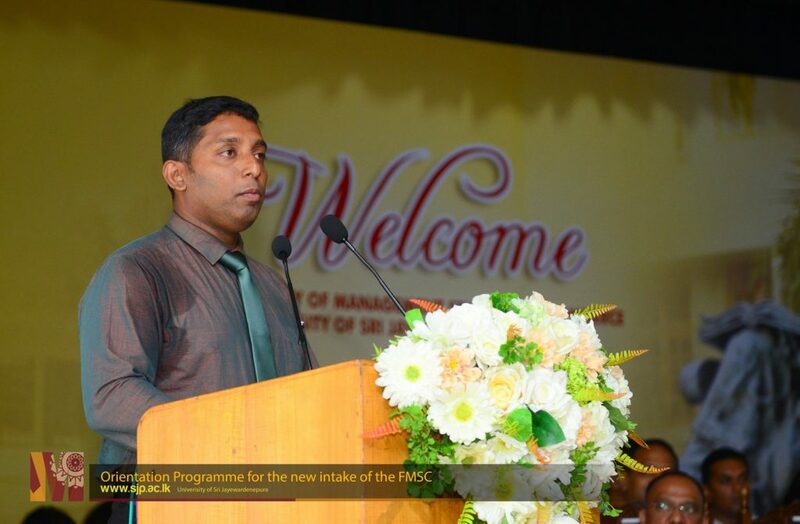 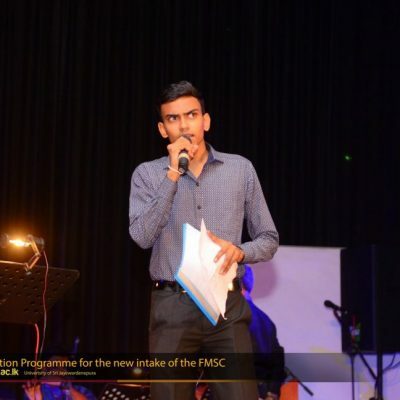 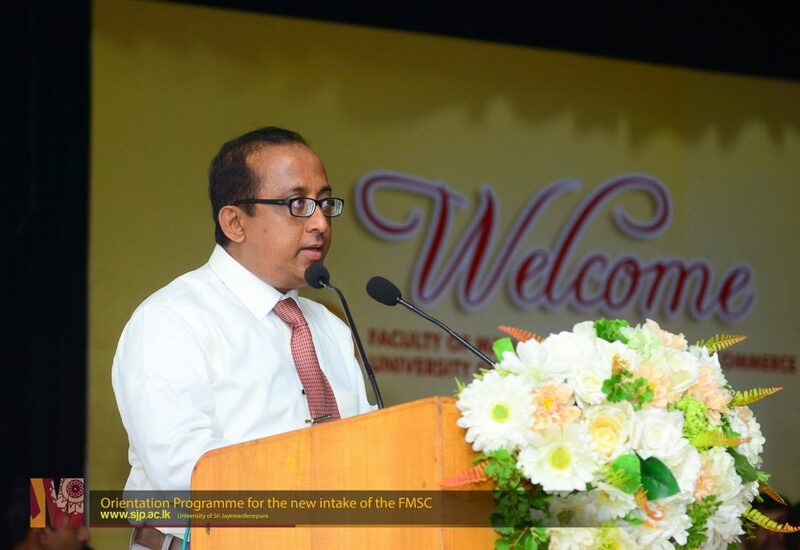 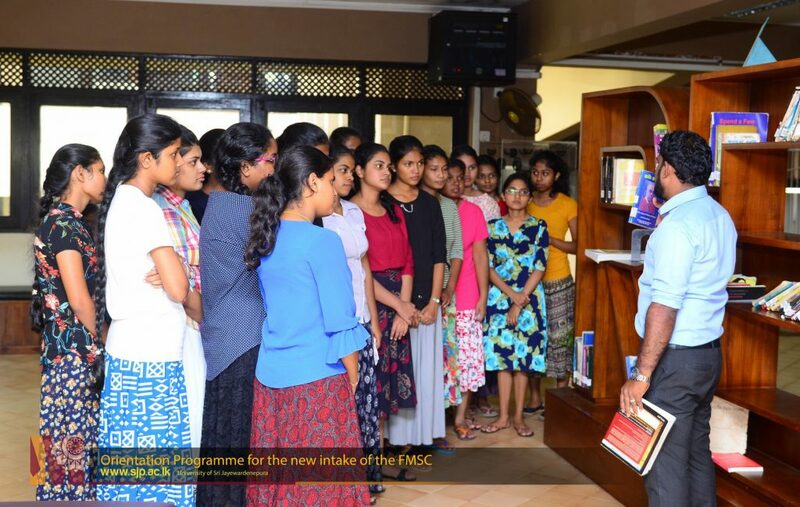 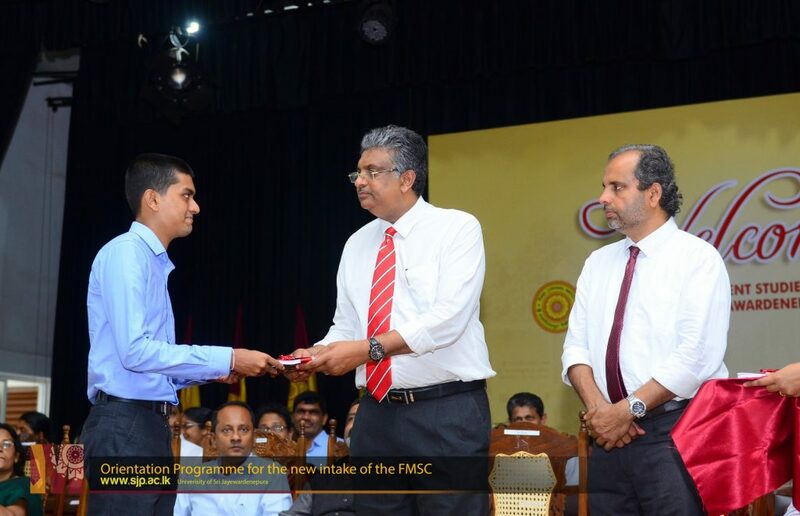 During the orientation programme series of lectures were delivered by the well-experienced academics of the university and by renowned experts in Sri Lanka in their respective fields from both corporate and public sector on numerous topics such as study skills, student discipline and student welfare which are pertinent to students as newcomers. 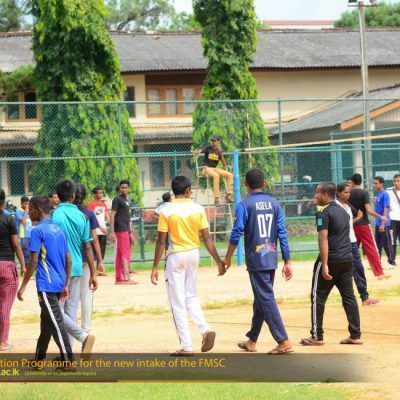 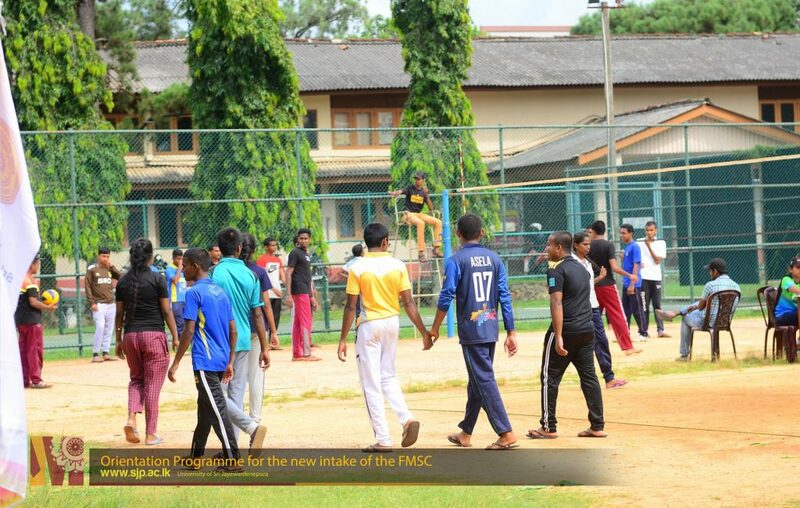 In addition to the lecture series, a sports day was held on 08th November to direct the students to their preferred sports. 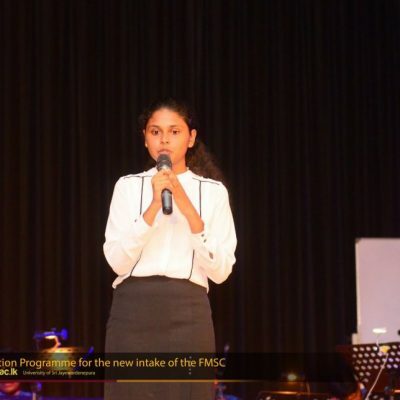 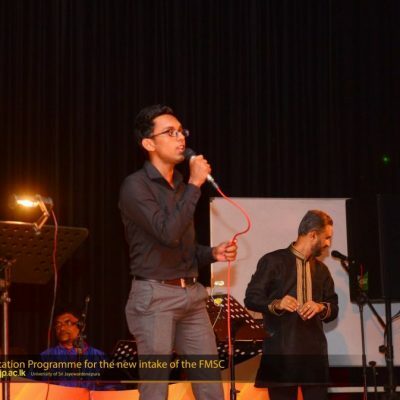 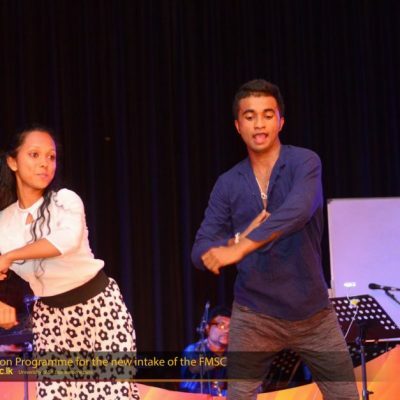 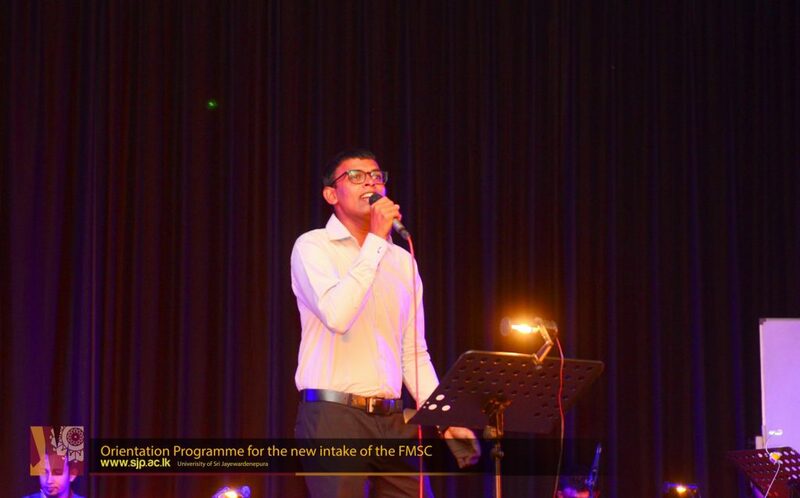 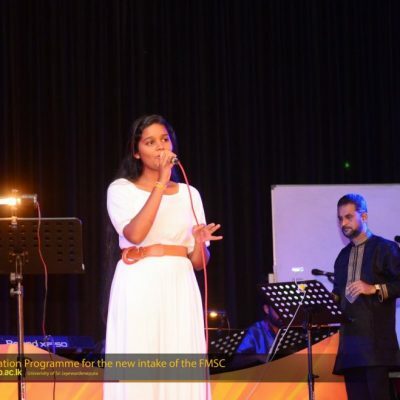 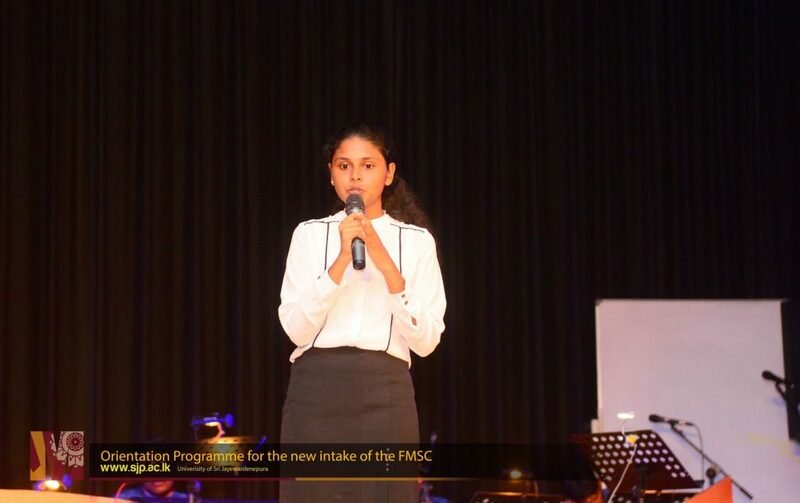 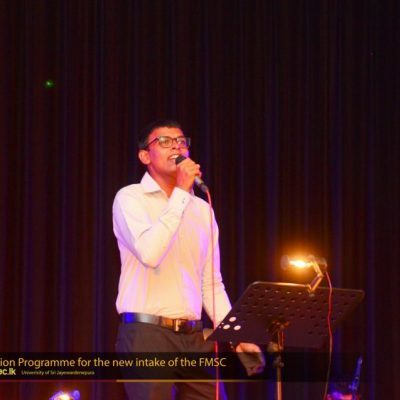 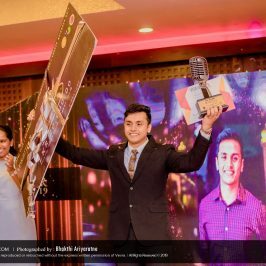 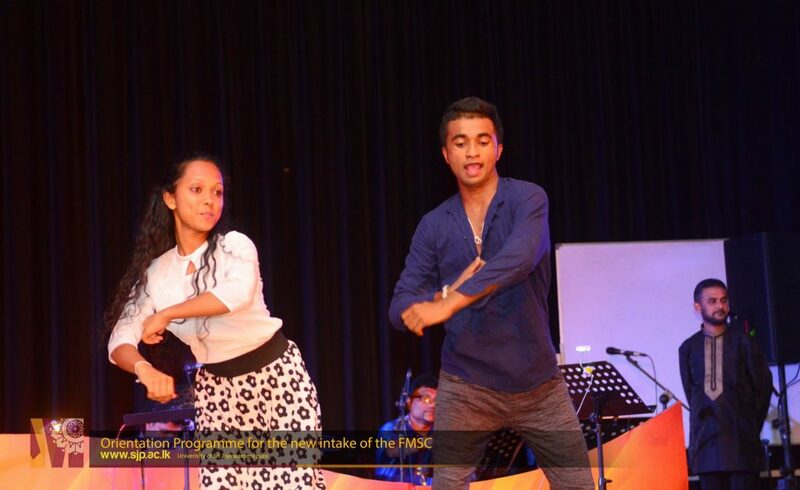 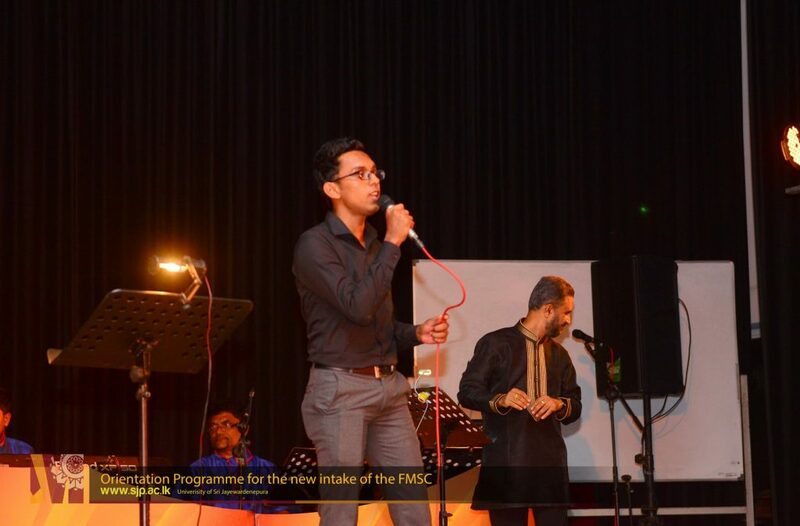 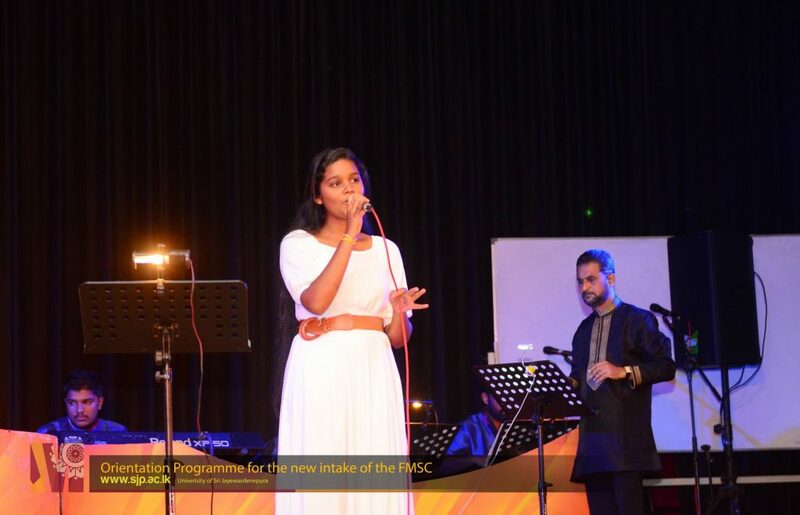 On the same day, a talent show was organized to perform their esthetic skills and students enjoyed the evening with thier outstanding performance. 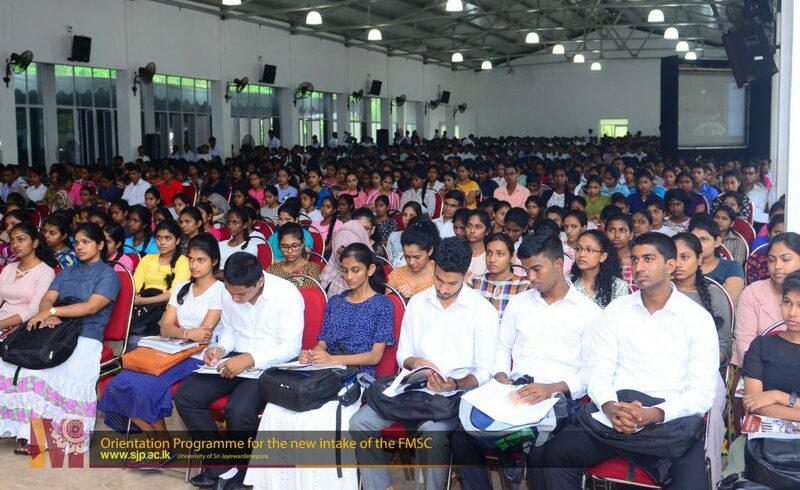 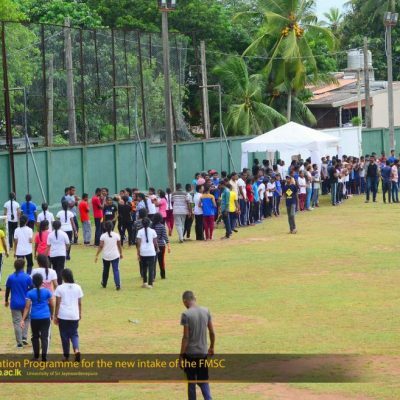 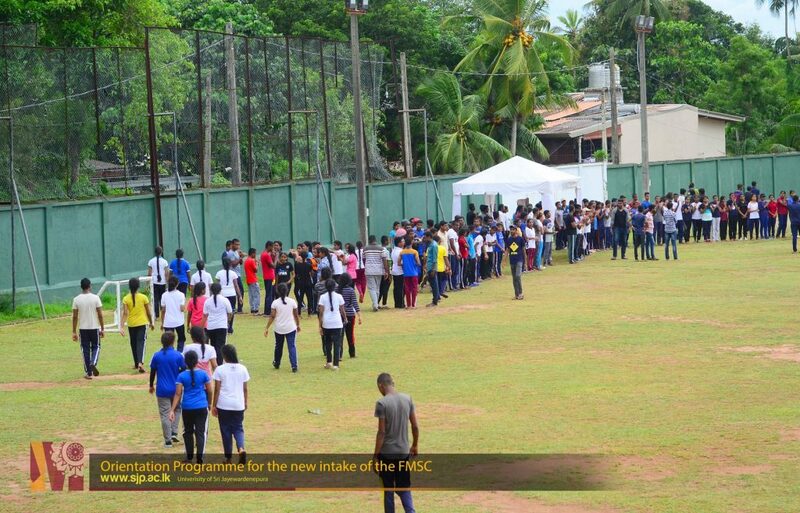 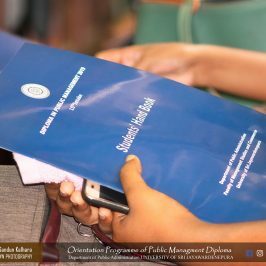 The concluding session of Student orientation Programme 2018 was held on Saturday 10th November with the participation of the Dean FMSC. 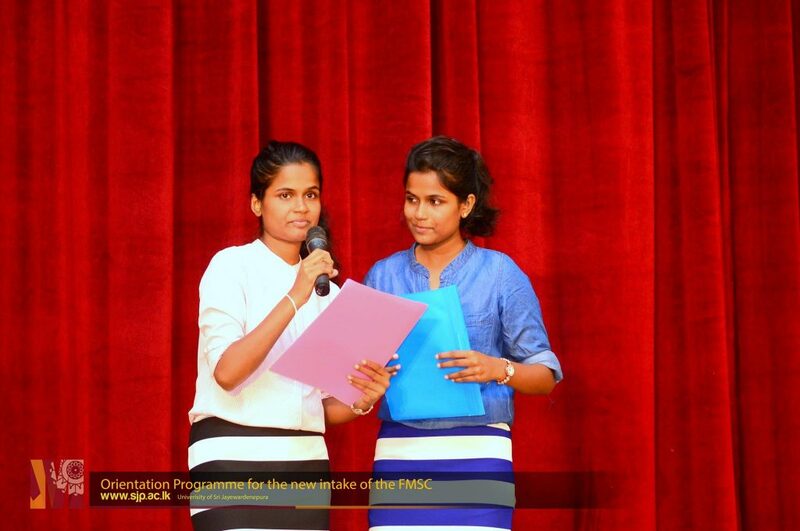 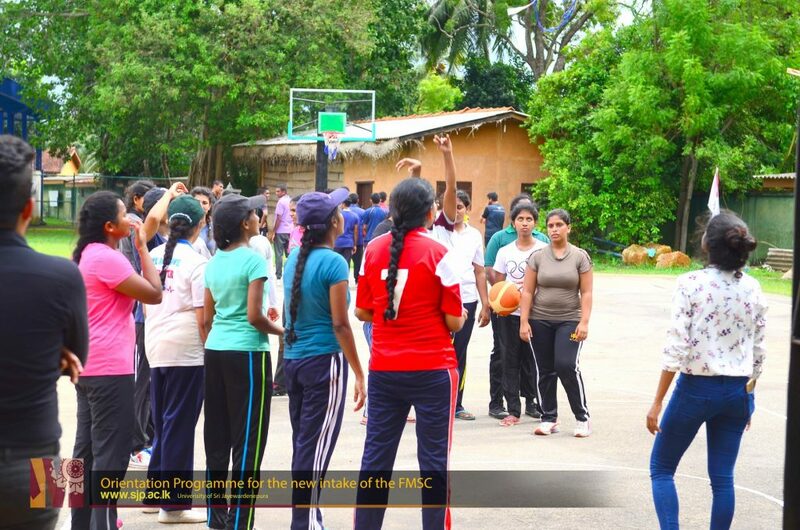 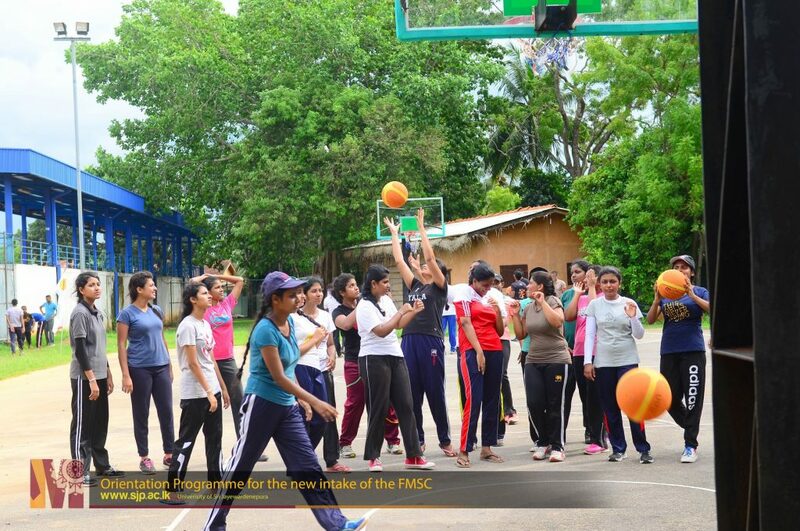 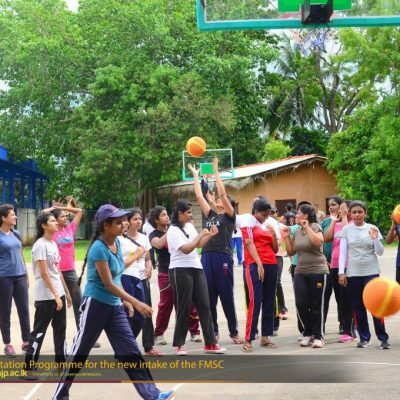 It was highlighted that new-comers appreciated the efforts of the organizing committee with encouraging feedbacks.